Having a Shopify store can be a full plate. You have to choose between over 10,000 options in Shopify App store to see which one you need to make sales and which are a waste of time. That can be a real headache right? Ultimately you don’t want to be stuck with a free or paid app that doesn’t bring you the results you need to increase Shopify sales. Now you don't have to shuffle through that sea of Shopify apps. Handling your money is just as important as making it. I’ve listed the top accounting apps and software that you can use to track sales, create invoice and manage your Shopify profits as they increase. 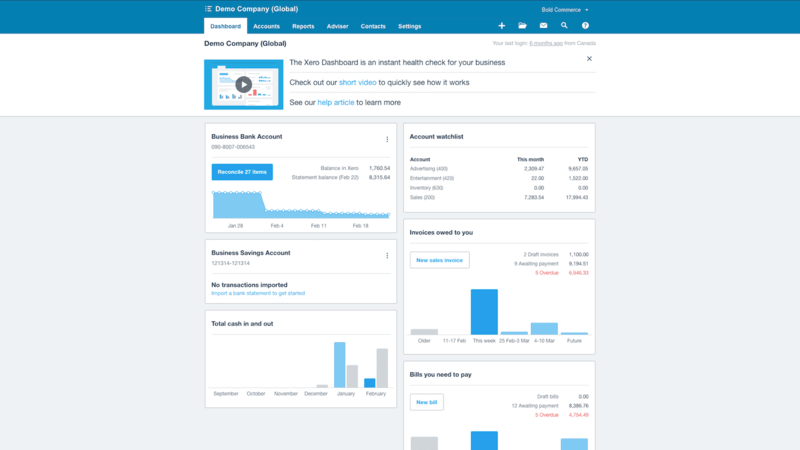 Xero is one the most used accounting software for e-commerce business owners. 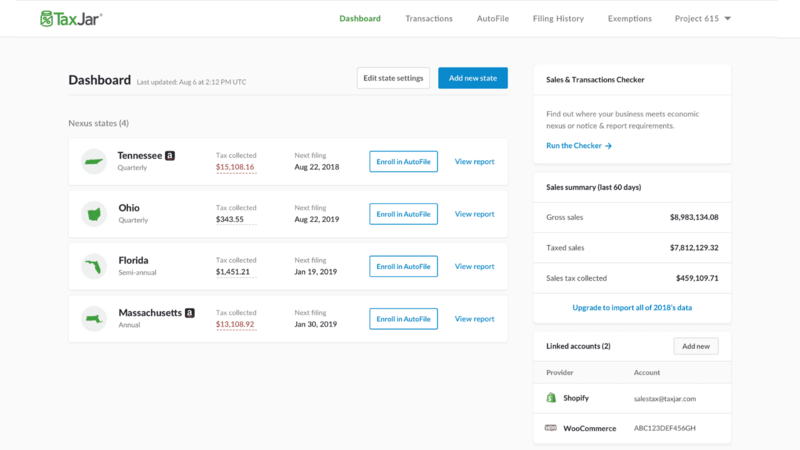 If you're already using the Xero software you can use this Xero Shopify app to export your orders to the software so you can track your profits and expenses. If you’re new to Xero you can still use either the app or the software to manage your accounting for you. Xero helps you to create invoices and even has global tax support so you know how much profit you’ve really made. Quickbooks is well known for small and large business owners. 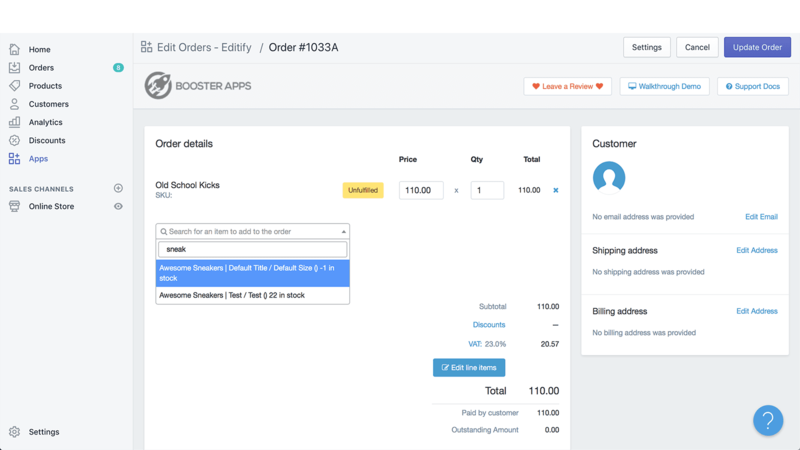 With this Shopify app you can automatically sync your orders with your Quickbooks account. 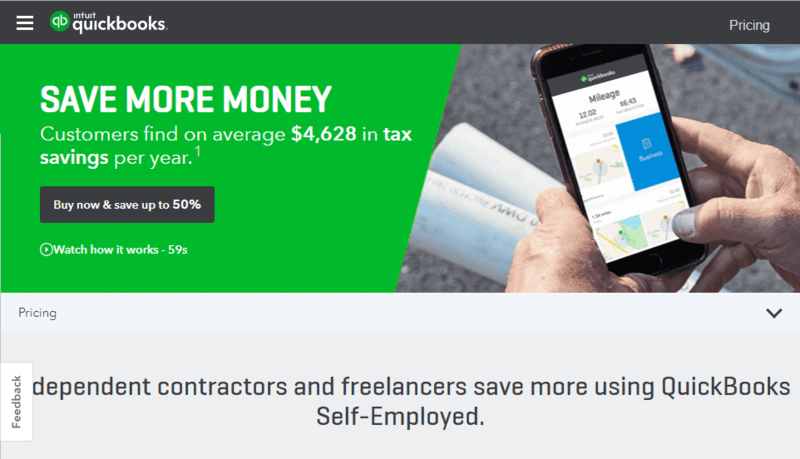 Quickbooks is a great way to keep your Shopify finances in order and with this app you cut out the hassle of moving back and forth between the two platforms. You would have to sign up for the [Quickbooks software] (https://apps.shopify.com/quickbooks-online) to use it first, then add the app to your Shopify store. Quickbooks have a wide range of plans that fit your accounting need. You can upgrade and downgrade at anytime if you need. There’s nothing more frustrating than handling tax all by yourself, especially for your Shopify store. When it comes to taxes TaxJar makes it look easy. It automatically files sales tax returns directly to your states with one simple set up, no code needed. Taxjar also integrates with Amazon, Wal-Mart, Square, Etsy and PayPal. Keep in mind that TaxJar supports domestic US stores only. Bench Accounting is one of the top Shopify based accounting apps so far. 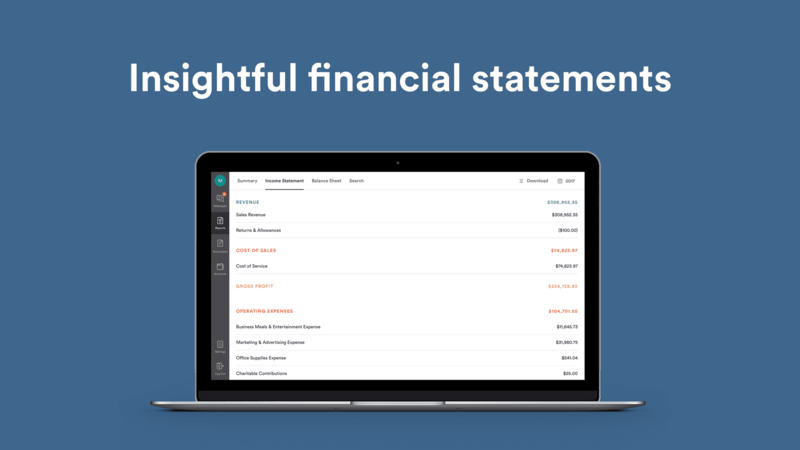 Bench will automatically track your finances and transactions with their team of bookkeepers, just for you. They sync directly with your bank and Shopify plan to bring your business transactions into Bench and prepares monthly financial statements so you can keep track of your profit and losses. If you need someone to handle and manage your plan directly you can consider Bench Accounting as an option. Apart of managing your money is also managing your invoices. Sufio an automatic payment tracker and invoice maker used by over 3,150 Shopify stores. Sufio automatically creates customizable invoices when orders are made, paid or fulfilled in over 30 languages. 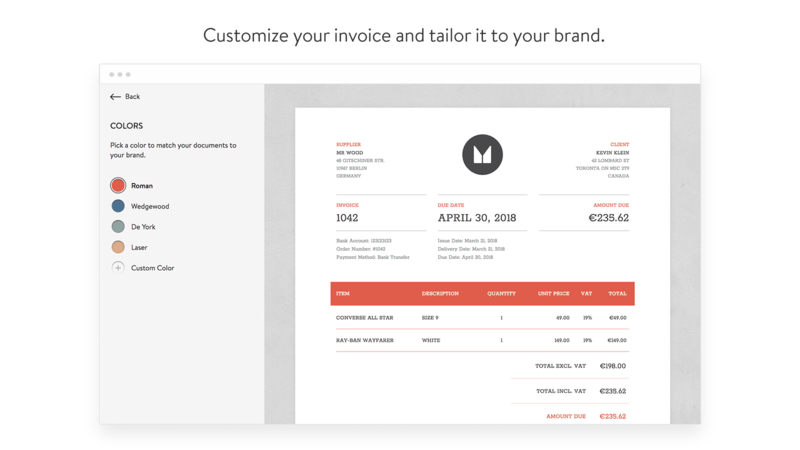 It also sends your customers these invoices by email and the option to download them offline. Sufio captures your taxes like VAT and GST so you can track payments made by local and international customers or share them with your accountant (or your team). Need help setting up an Affiliate system for your Shopify store? Having the right affiliate program can make or break your Shopify business. You need to make sure you have an app that you rely on to professionally execute your task and recruitment. Instead of picking and choosing to only hope for the best, I’ve listed the two best, most rated Shopify apps for affiliate programs you can use. LeadDyno is an e-commerce app that helps you with recruitment and payment for your affiliates and influencers. Give your Affiliates access to a dashboard that helps them to track their progress and know when and how much they'll get paid. Your influencers will also receive custom affiliate links, click and commission in real time, and user-friendly features along with all devices so they can share and market your brand on the go. You can keep track of how many people sign up and get paid by using your Affiliate Recruitment and management dashboard. If you have a hard time finding Affiliates LeadDyno gives you access to their network of affiliates so you can pick and choose who you'd like to add. This app integrates with PayPal, WordPress, ReCharge, Slack, ZohoCRM, Klaviyo so you can get more out of your affiliate experience. 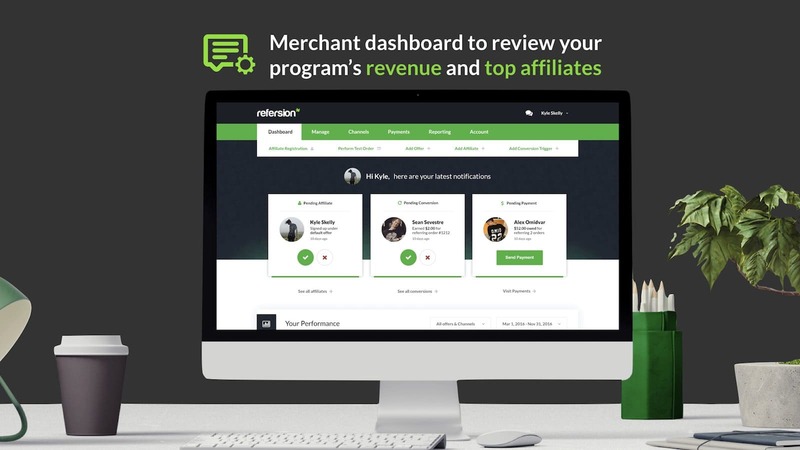 Just like LeadDyno, you're able to create a professional Affiliate program for your Shopify store with Refersion. 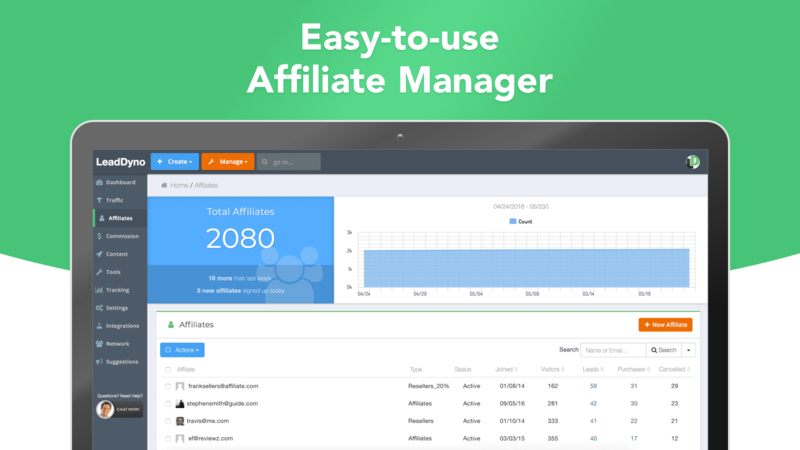 Create a network of influencers and affiliates with customizable sign-up pages, track referral links and create segmented and unique offers for various levels of affiliates. You get monthly reports, conversion triggers across all your platforms and personalized dashboards to track your performance and make any changes. If you're not sure where to find influencers, you can list your affiliate program on Reversion's Marketplace. Works well with OneClickUpsell, Carthook, Mailchimp, Paypal, Bulk Recurring Orders and ReCharge. Having great customer service isn’t just about keeping up appearance. Great customer service increases sales, it’s just that simple. Have you ever shopped somewhere and got service so good you made sure you went back to store or find yourself only buying from that website? That’s the kind of feeling you want your Shopify customers to have every time they visit your store or contact you. Here are the best Shopify apps for customer service that you can use to keep your buyers happy and increase sales. Gorgias is customer support app that allows you to assist customers right from your Shopify store. 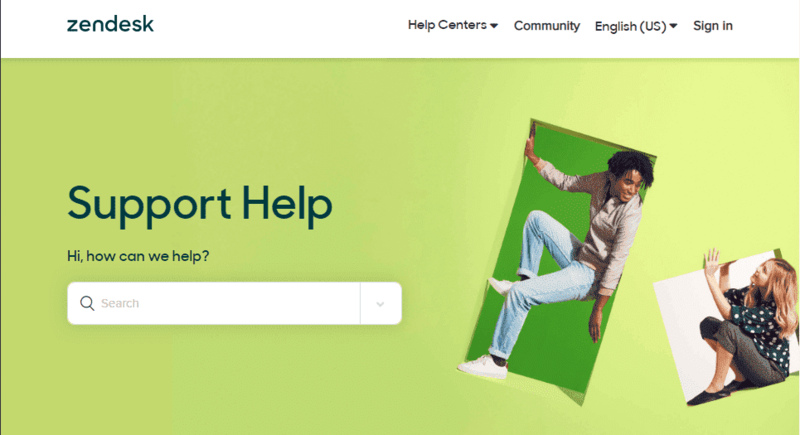 You can provide customer support via email, live chat, phone, Facebook, Instagram, and it integrates with other Shopify apps like Smile, Aircall, Smooch, Recharge and Swell. You can provide your customer with a 360 support on all your platforms so you never miss a potential sale. 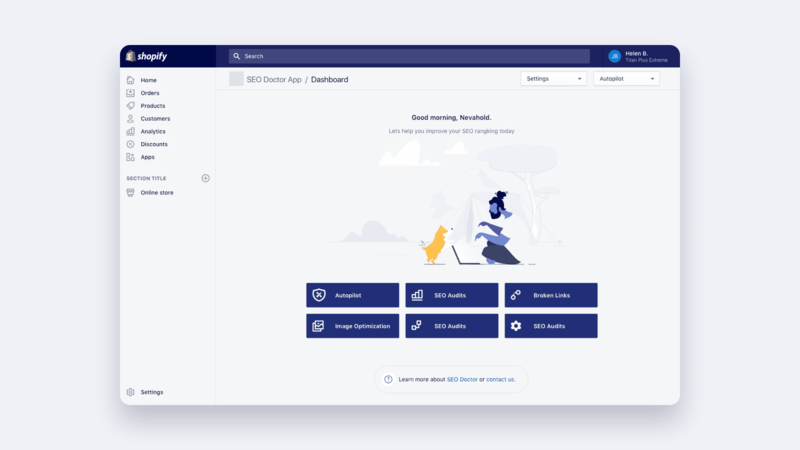 This app provides all-rounded support streamline for supports tickets and gives you the option to create automated messages so you can still provide support even when your away or too busy. Need something much simpler than apps like Gorgias or Zendesk? 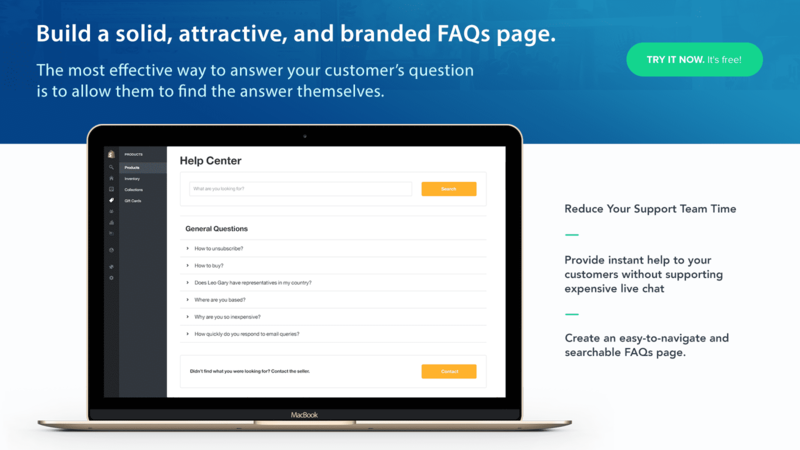 Why not create a professional FAQ instead, use this to answer all your customer's potential queries. HelpCenter gives you the option to create and customize a searchable FAQ page. 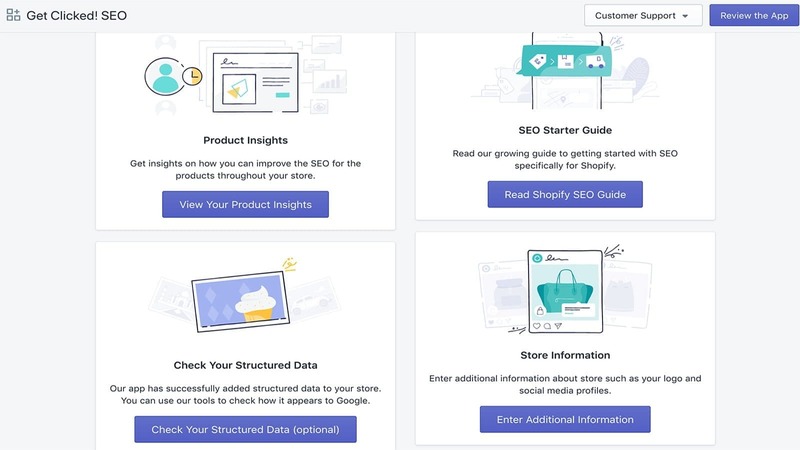 Making it easier for your Shopify customers to navigate from topic to topic without feeling overwhelmed. Add Articles, sections and categories so that all the answers are laid out neatly for your customers to read. I had mention this app earlier in the list. One of the most trusted customer service app use by brands big and small, Zendesk is a great addition to any Shopify store. This app isn't free so keep in mind that you have to have a certain volume of customers to get the most out of this app. Zendesk is an omni-channel for customer service and engagement for your Shopify store. You can have 1 to 100 or more persons to handle your customer support. It’s scalable and easy to use. It gives you the option to create automated responses, blurbs of saved answer for common queries and ticket system so can track your support. This Shopify app is free for Zendesk customers who are already on a paid plan. Who doesn't like to make wish list when they shop? Wishlist are a great way to give customer the option to saving items they’d want for later or making a list of gifts to send to a friend. Use this app to create an easy customizable Wishlist+ module. Customer's don't need to go through the hassle of logging in to add items to their Wishlist. Wishlist Plus also syncs easily with user activity across any devices so they can pick up where they left off. 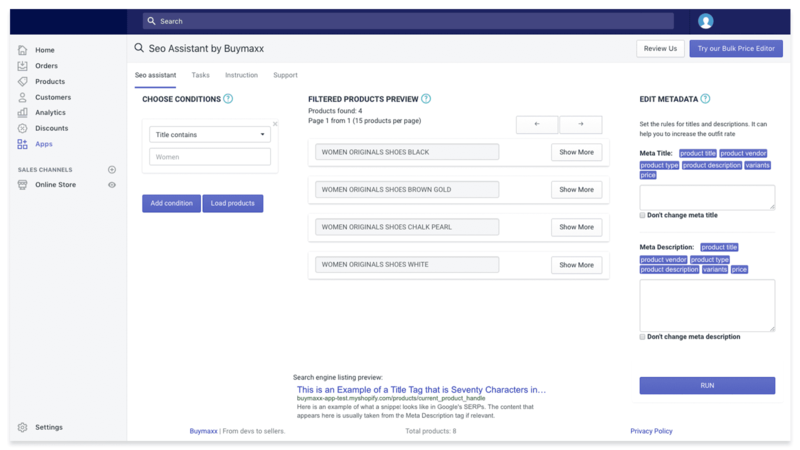 Get added features like giving shoppers the option to share their Wishlist with friends and metrics to view which products are added the most so you know which products are doing well. Editify is a personal favorite to many Shopify owners when it comes to Shopify customer service apps. Ever get an order that your customer wants to change? Without going through the hassle of creating a new one or cancelling and asking them to reorder…just edit it with Editify! Editify helps you change any information you need from billing, product (colour, size, amount) and address. Edit Order is a must have especially if you have a growing Shopify store with orders coming in and out there are couple of customer who are bound to change their mind. Have you ever ordered from someone you don’t trust? Not a lot of us would. So you can’t have sales without trust, and your customers need to trust you if they’re going to add your products to their cart and pay for it. That’s why 84 percent of shoppers trust online reviews from both strangers and friends alike before making a purchase. Judge.me more than product review unlike the free Shopify’s product review app. It allows your Shopify customers give site reviews, photo/video reviews and customer Q&A all while viewing or making comments freely. When visitors see the review, they have customers they can trust to make a purchase. Created by Shopify app team, this is a very simple product review app. 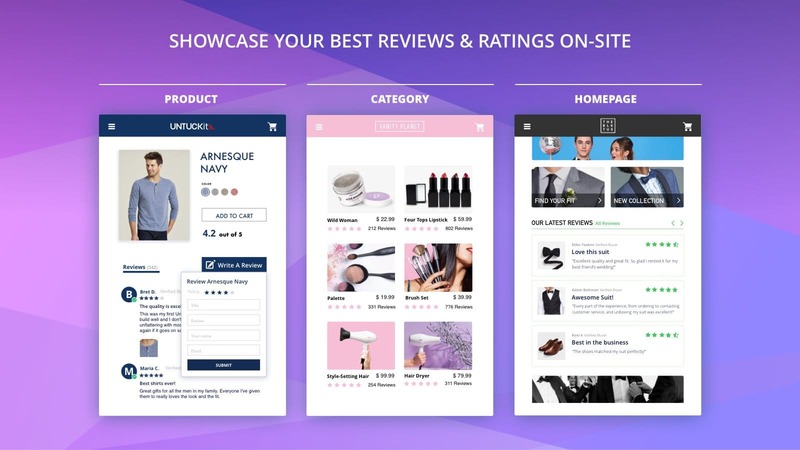 This Shopify made app allows you to add customer reviews to your product page so potential shoppers can see what others have to say,enable them to buy with confidence. If you’re looking for a simple way to show-off your customer reviews this app might be for you. 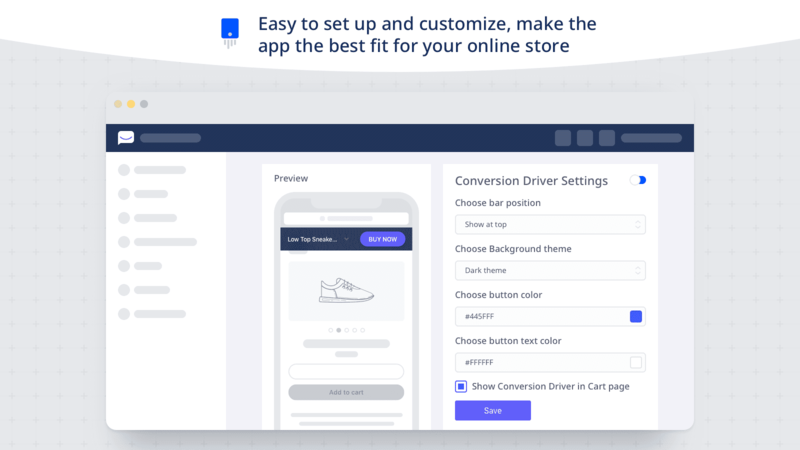 Unlike other contact forms, this app provides a popup contact form for your Shopify store with powerful insights like you where your visitor is located and what pages they viewed before making an order or even where their mouse hovered/traveled on a page. Giving you the information you can use to create more targeted sales like seeing the most looked on pages or products. If you’re looking for a contact form or pop-up form with in-depth analytics to understanding your customers consider this app is an amazing choice. 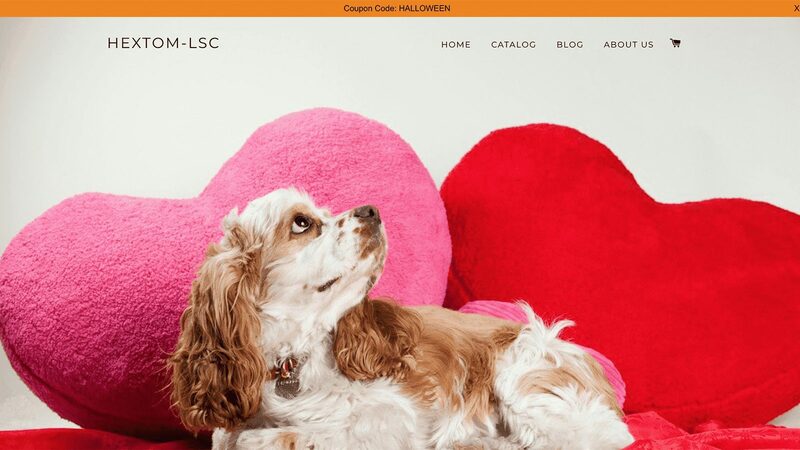 Lucky Orange is one best and most underrated Shopify apps out there. Lucky Orange helps you to understand your store from the customer’s perspective. You can see where and when customers fall short to order and how they navigate through your page. Understanding your customer's behaviour on your website so you know why your sales may be falling store or how to increase them. You get amazing features like a real-time heatmap so you can see what your customer click before they make an order or leave your page. A chat option for customers so you can ask them “What stopped you from making a purchase today?" or “Would you like to be contacted for a free estimate?" so you can make a sale before or after they click off your site. Plus Daily/Weekly Email Reports sent to your email for a quick look at what's going on in your Shopify store. This app also works best with HubSpot, Google Analytics, Google Tag Manager, Wordpress and Optimizely. One the earlier Shopify apps that have improved over the years, I might add. 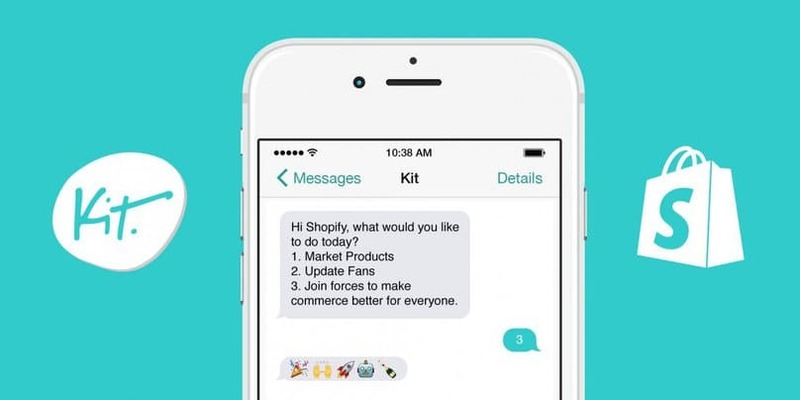 Kit is your hands on digital marketing assistant,especially if you're a Shopify owner that's too busy to handle your marketing. The only limit is that Kit only handles ads for your stores Facebook and Instagram page but offers automated post and email options. So for help with Facebook and Instagram marketing consider using Kit instead. Looking for a way to streamline your productivity when it comes to shipping order? Order Printer helps you to print invoices, shipping slips, receipts and labels. You can use templates or customize them to suit your needs or help customers recognize your Shopify brand. This Shopify app allows your buyers to ask questions about products directly on your Shopify product page. 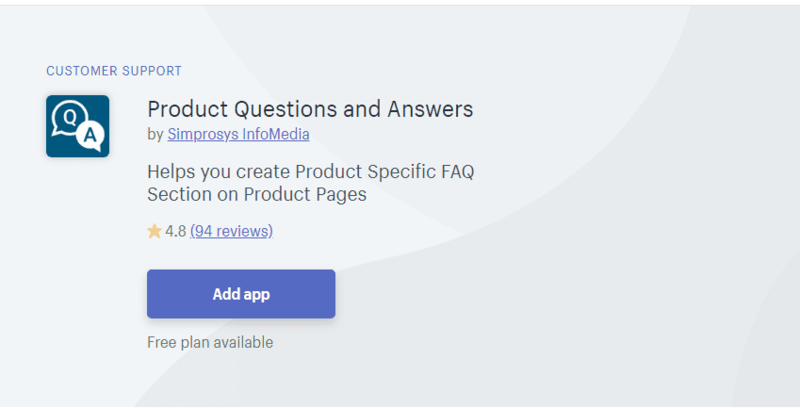 Once the customer sends their question through the app, the product page link gets attached to the question so you know which item they have questions about. This app can be a good alternative for customer support chat for your Shopify store if you’re not ready for full on customer support app. Need to check off some Shopify task from your list? Shop Workflow Automation helps to automate repetitive Shopify task, like restocking products, notifying suppliers for drop shipping products and verifying orders to avoid chargebacks and more. 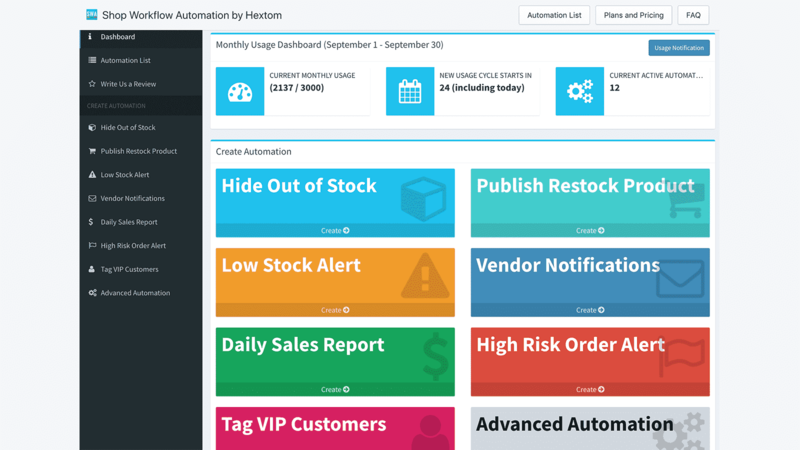 Automate your store so you can focus on other aspects of your business with ease. Your store's customer service shouldn't end at the checkout page. Create customizable thank you or order confirmation pages for your customers. You can provide your buyers with their order details, videos discounts or future purchase recommendations. This app is very user-friendly and easy to use with its drag and drop features, no coding skills required and you can reach out to their customer support to guide you along the way. Making your Shopify store mobile friendly is always a plus when it comes to improving your customer's experience. Mobile Converter makes purchasing from mobile devices a breeze. It gives you handy features like a simple button that allows you to scroll up and down the screen seamlessly. 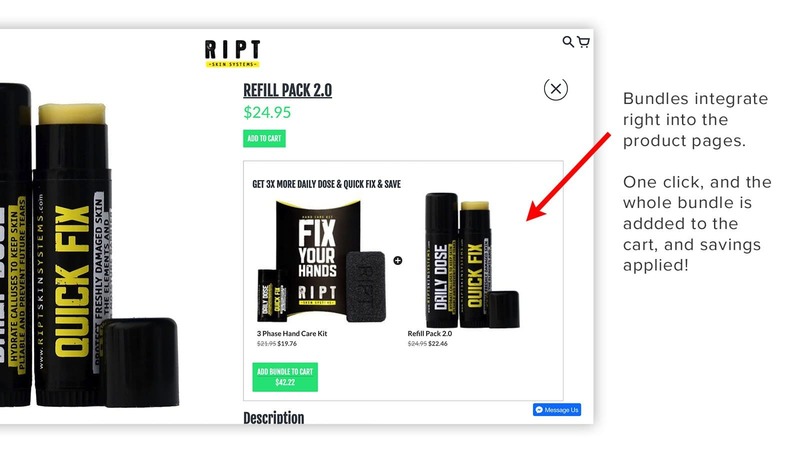 A call-to-action button that nudges customers to hit "Add or cart" button as they view full screen views of your products instead of small images due to poor mobile conversion. This app is pretty lightweight so it won't affect your Shopify's load speed and works for all mobile devices with Android or IOS. Looking for a way to sell digital products, like music, e-books, pictures, files, or software? I know personally how hard it can be to find the right app for your Shopify store with the added hiccups along the way. I have searched near and far for the best Shopify apps for digital downloads you can sell on your Shopify store. See which one works best for you. With Sky Pilot you can add digital products to you with complete file protection, place download limits, expiring access and get alerts when customer try to abuse link/downloads. 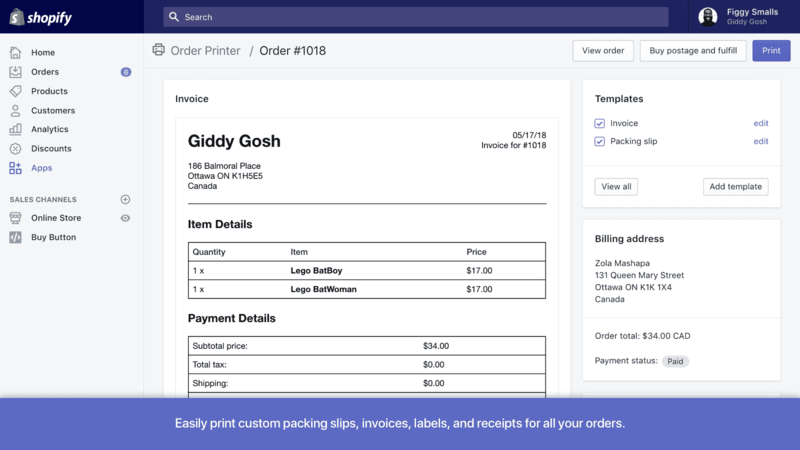 Sky Pilot gives you the option to create professional and customizable delivery pages in Shopify and gives your customers a log in so they can see their past downloads. You can also to sell access to files from Vimeo's integration, PDF's and even pictures. Added features also allow you to have the option to attach multiple files or videos to one product so you can create variants. 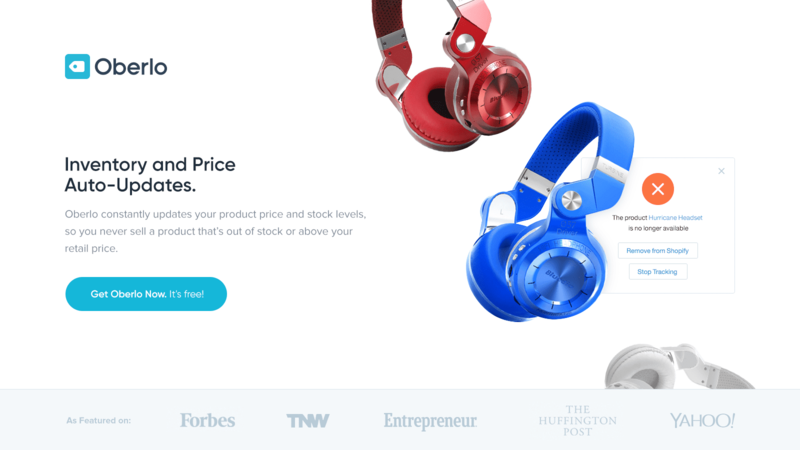 Created by Shopify to sell digital products. It uploads and sell your digital products in your Shopify store. 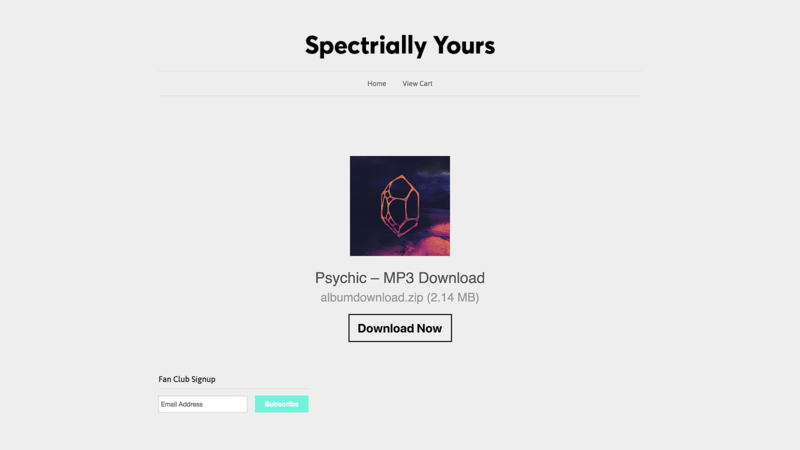 It allows the customer to have a direct download and an emailed link right after they've completed payment so you don't have to. You can also set download limits to each digital product so that you can track inventory or limit it. There is however a GB limit to this app so reach out to support before going crazy with your uploads. Looking for a way to drive more sales quickly? Turn browsing shoppers into customers using limited time discounts and offers. Discounts are a great way of driving new email subscribers, engaging your current email list, and leveraging holidays to your advantage. Here are the best Shopify apps for discounts and perks you can give your new and returning customers. Create bulk discounts customized to your brand in a few simple clicks. Generate codes you can give customers via email, pop-up or with ads. Not only does this app generate bulk discount codes, but it gives you the option to export the codes into a CSV file so you can use them outside the app. Yotpo is one the most used Shopify apps to date, and it has a high customer review rating to back it up. Yotpo works by adding elements of trust to your site by allowing Shopify owners to add customer reviews to store products. 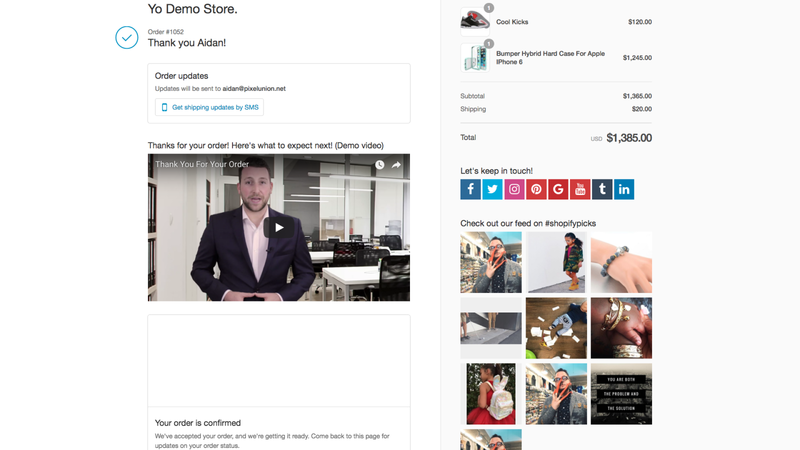 Yotpo lets you send requests to customers for reviews and gives you the option to showcase the review how you want. 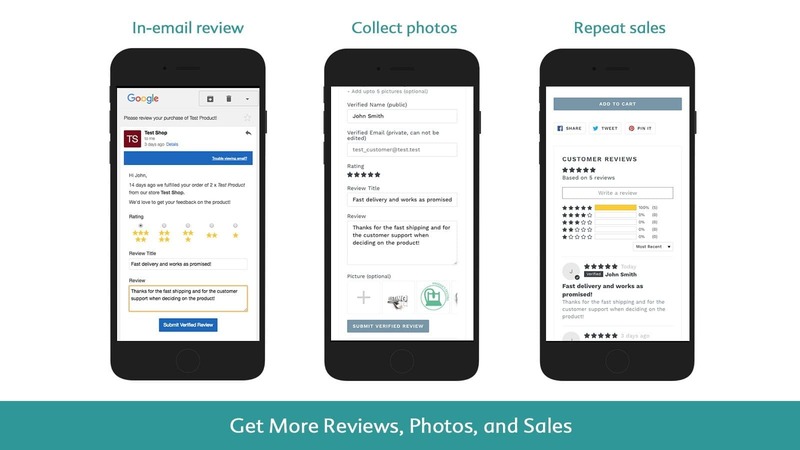 Yotpo is also in partnership with Google, Facebook and Instagrams, so you get added features to share and promote reviews for your store. Better coupon is a creative app for giving discounts and perks for customer actions. 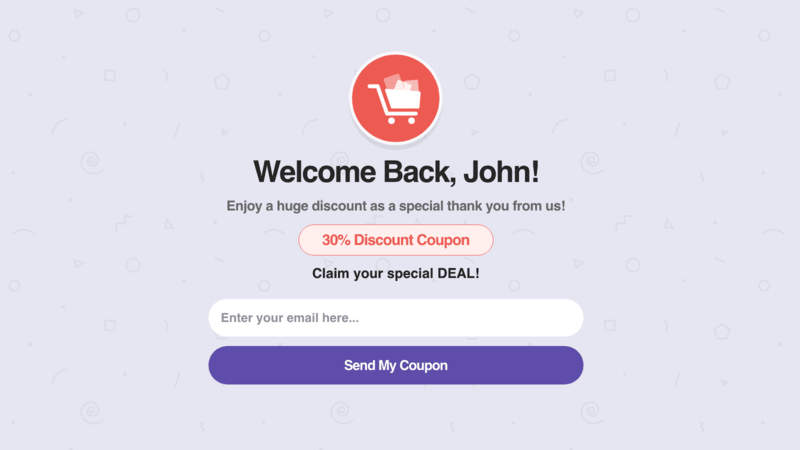 Better Coupon Box helps you to create discounts codes for your customers but growing your email list with a personalized coupon popup and offering those discounts to potential subscribers. You can also offer discounts for various task or actions by your customers like giving a 15% discount if a customer follows you on social media. Looking for a great way to create a loyalty program your customers can enjoy? Smile.io is just the app to do the trick. 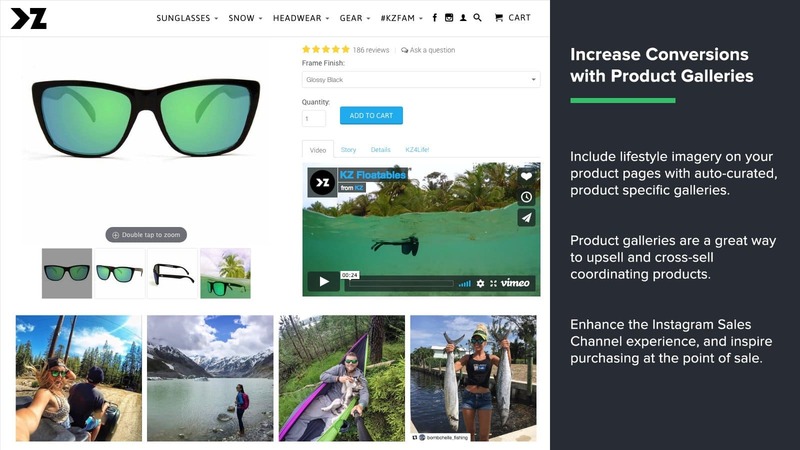 Highly rated with features that helps you to boost customer engagement, encourage sales and make your customers feel valued when they shop on your Shopify store. You can upgrade to enjoy full customization of your reward program or use the free features to give our your loyalty rewards. Discount pricing is not your typical Shopify discount app. Unlike other apps that apply set discounts to specific products, Discount Pricing allows you to apply custom discounts to customers buying in bulk. Sort of like "buy 2 get 1 for 50% off?" This app is just like that, encouraging customers to buy more from you in order to get a special offer. You can customize the pricing at any point and offer volume discounts to customers buying in bulk. This is a great app to use to offer discounts when visitors are about to leave your Shopify store as it encourages them to buy the item in their cart now. This app also comes with added features like page targeting that allows you to display popups on only specific pages or create different popups for visitors on your store from different countries. Created by MailMunch to help Shopify owners better manage their email marketing with Mailchimp. This app seamlessly integrates with your Mailchimp and Shopify store. You can give customers discounts and giveaways for collecting their email to grow your email list. You also get added features like page targeting, exit popups and more. This app provides a very basic analytic so you can track your emails and discounts in real time to see you’re marketing and discount progress. Dropshipping for your shopify can be an adventure of its own. If you’re not too careful it can either leave you frustrated, confused, losing sales or all of the above. Instead of making major dropshipping mistakes most people at every stage of managing their Shopify you can grab Shopify’s Ultimate Guide to Dropshipping and the choose which of the 11 best Shopify apps for Dropshipping you’ll be using below to start being a pro in the making. Oberlo is named the go-to app for finding, selling and dropshipping products for your Shopify store. Highly recommended by it's over 2000 positive reviews and 4.7 Shopify rating. 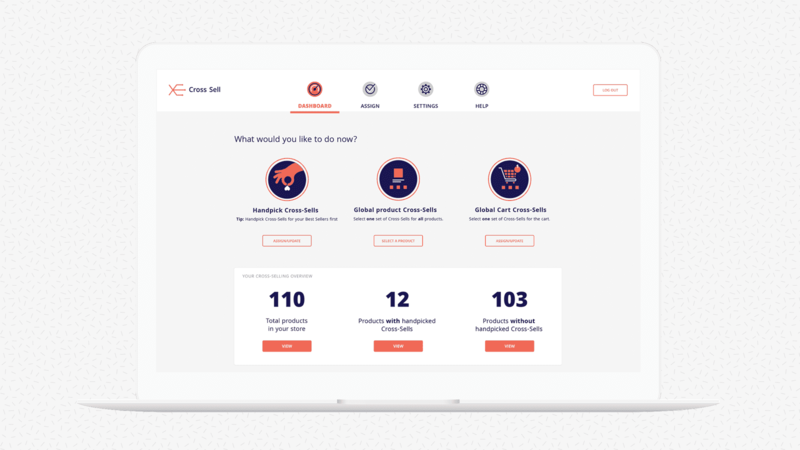 Oberlo’s uses in-depth product statistics for you to select the best choices for products and allows you to check the potential profit of every product before you start selling. It automates your order fulfillment, track orders, and manages your inventory. It can sync with AliExpress and Alibaba so you can find and add products with a few clicks. Oberlo gives you a sales dashboard and offers you 24/7 Customer Support regardless of which plan you choose to use. If you’re an Amazon associate who wants to create a Shopify store Spreadr is an app you can consider to use. This app allows you to find and bulk upload products from Amazon and import them to your store using Amazon API, all you need is the Amazon product link and you’re ready to sell. It doesn't matter if you're drop shipping or using an Affiliate program. Connecting with Spreadr allows Amazon to manage your Shopify's shipping, returns, inventory and customer support. Spreadr will also auto-update your product information and prices to match Amazon so your stores are consistent across the board. As a bonus you can even showcase your Amazon Customer reviews right on your Shopify store. Custom printing T-shirts, mugs or totes can be a real hassle. 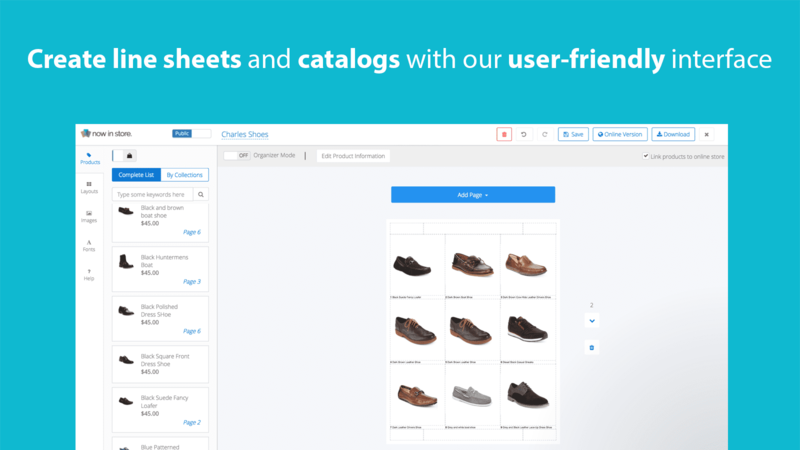 This app provides print-on-demand designs and ship your customers orders and manage your inventory right from their warehouse, so you don't have to do it yourself. 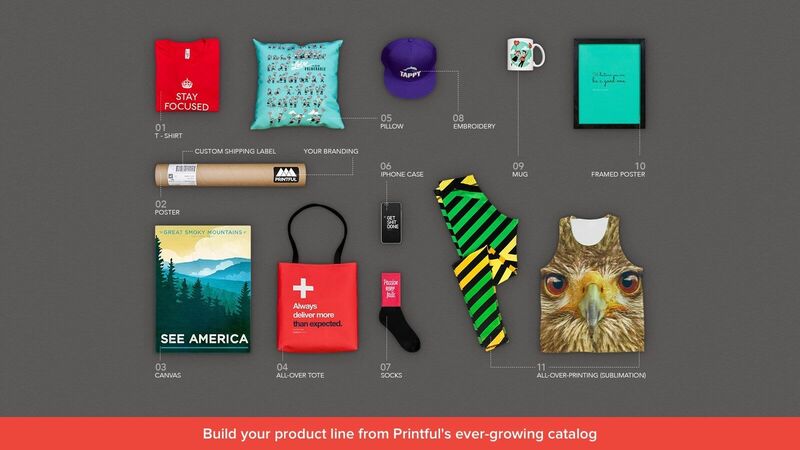 Printful is a veteran Shopify app that artist and designers trust to print their designs and fulfill their products. With a 4.7 rating in the Shopify app store. It syncs with your Shopify store and handles everything automatically, so you don't need to fill or create orders manually. Price: Charges are based on products and services you use. Spocket is similar to Oberlo in finding products globally and automatically fulfilling orders for you. 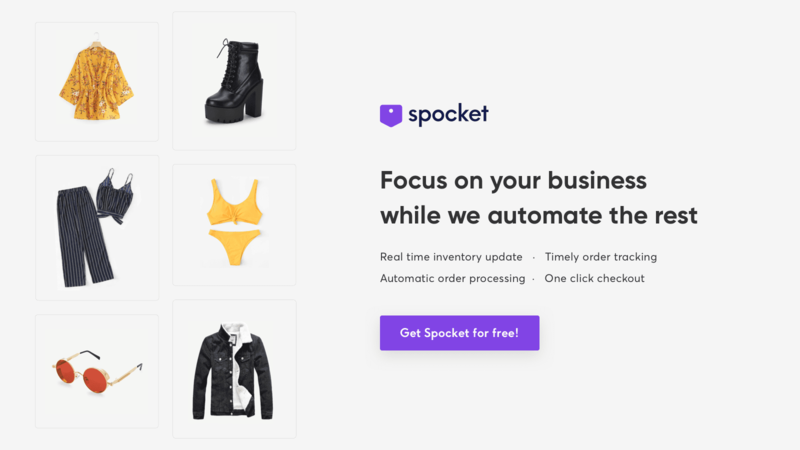 Spocket prides themselves on being entrepreneurially friendly with up-to-date tracking and fast shipping for customers and products prices that allow you to give discounts ranging from 30-60% off in order to remain competitive. Unlike most dropshipping apps that send your items unbranded, you can have your products shipped with your Shopify's logo, so customers know it's from you. WC Fulfillment app is similar to Oberlo with slight difference that it only provides products that WC Fulfillment sells. WC Fulfillment will handle your customer shipping, tracking and gives you automatic tracking updates once their orders have shipped. Using your seller resource account, you can pick from a detailed product list is available which items you'd like to add to your Shopify store. The prices are listed so you can make a profit. 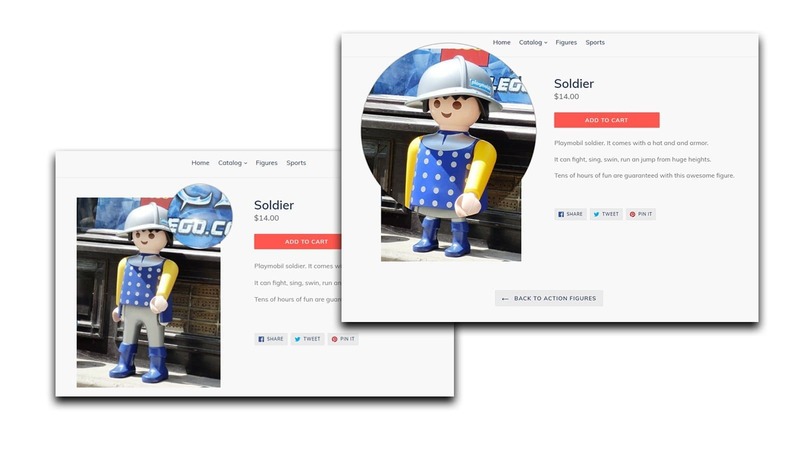 And access to quality product images or 3D mocks to use on your Shopify store. WC Fulfillment promises sellers like you a 100% product guarantee, where they will send a free replacement if the customer is unhappy with the product, so you have one less thing to worry about. Price: Cost are based on sales is made on your store. ByteStand is another Amazon to Shopify app. The only difference is that team that created ByteStand are actual Amazon Merchants themselves selling on Shopify. A product made for sellers by sellers. So ByteStand understands what it means to have an app that works for both your Shopify and Amazon store, and the best way to do it. You can import your Amazon inventory into your Shopify store and control it from the admin section. You don't have to upload your products manually. All you need is an Amazon Merchant plan and merchant SKU to get started. Use multiple sites to source your products for drop shipping? Importify can Import products from more than 40 stores including Esty, DH Gate, Amazon and Wish. You are placing all your drop shipping stores in your Shopify admin for easy control. You can manually fill out your drop shipping orders manually or upgrade to a gold plan for semi-automatic order fulfillment. Have an eBay store and want to connect or move over to Shopify? With this app, you can import your eBay store products straight to you Shopify store without having to add them manually. 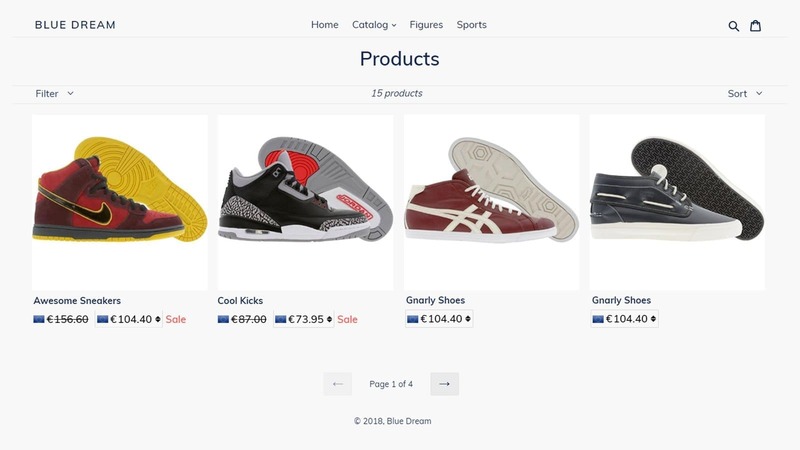 You can change or add variants or images for your products at any time and also select which items you only want to show on your Shopify store from eBay. If you run into any problems or have questions, your plan is assigned a dedicated plan manager just for you. You'll be given their Skype and email details so you can reach them when and how you like. 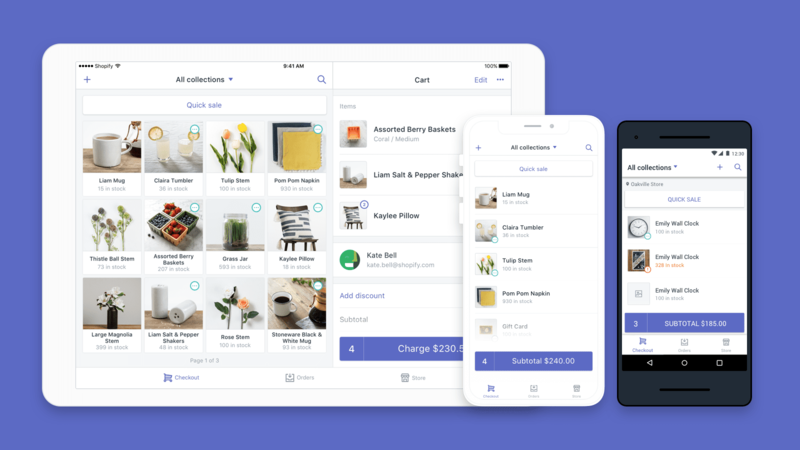 An all in one app, Veeqo manages your Shopify order, products, inventory and customer support for you automatically with a just a few clicks. Sounds like something you'd be interested in? Simply send products to their fulfillment store where they pack and ship out your orders. Plus, detailed monthly reports, 24/7 customer support so you can get the help you need fast if something goes wrong and business consultation so you can increase your revenue. If you're looking for someone to manage your Shopify store from the inside out then Veeqo is your app. Modalyst's primary focus is to provide your Shopify store with fast shipping and unique products from brand name providers with high-profit margins. If your looking to drop ship items from brands like Calvin Klein, Diesel, Puma, Lacoste and more, rather than Alibaba and AliExpress, then Modalyst might be a good fit for you. Side note: You may get additional charges based on the volume of your sales. SMAR7 is specifically made for Shopify owners who need help automating their dropshipping with AliExpress. 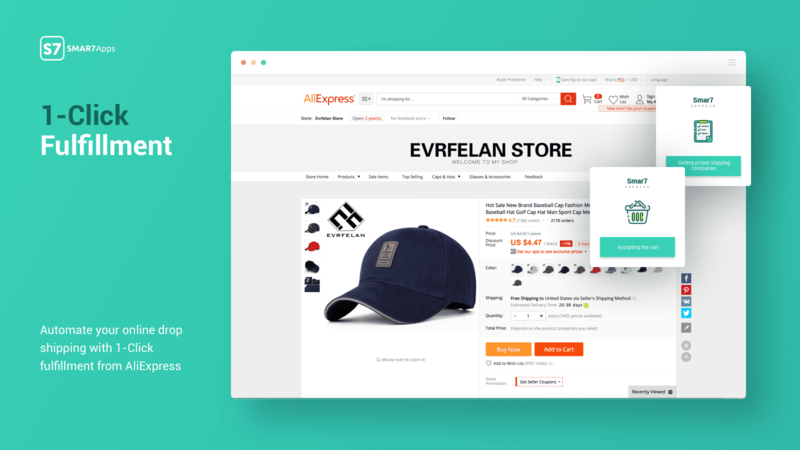 SMAR7 Express instantly imports your products from AliExpress and right into your store. You have the option to add the app as a chrome extension so whenever you're online you can check your fulfillment and product. Already have products in your store you need to fulfillment outside of AliExpress? SMAR7 app can help you manage them as well, all you need is their URL. One of the best ways to drive more sales on e-commerce stores is to spend more time on email marketing. Email is still alive and working. You can use these apps to help guide your store in the right direction and meet your sale goals. If you’re not sure how to use email marketing for your store, see some easy to implement email marketing strategies from top email experts. 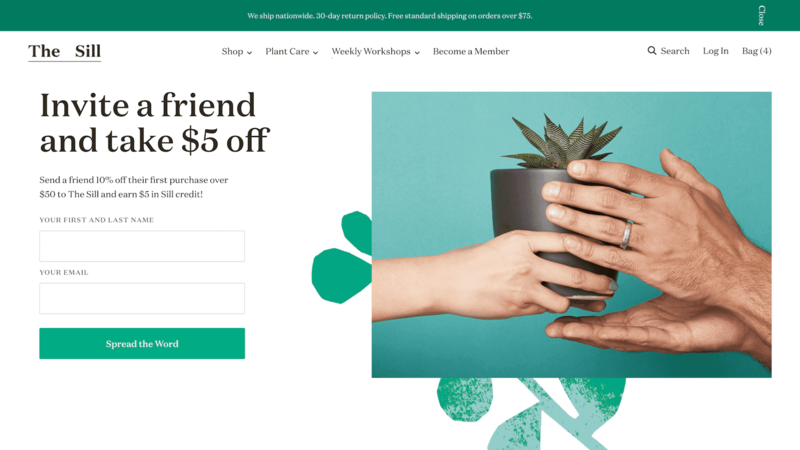 Built to grow your business, Wishpond not only offers the easiest email marketing features for your Shopify store but helps you to host landing pages and contest for special offers. Each promotion created with a goal in mind to increase sales and traffic for your Shopify store. You have the option to set up your email automation on your own or let us do it for you. Schedule a free demo with a product expert to walk you through the best ways to use email marketing for your ecommerce store. 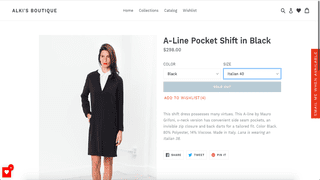 Conversio was previously known as Receiptful in the earlier years of Shopify has grown with some much-needed improvements. Conversio is the go-to email automation app for Shopify pros and newbies alike. The set-up is easy and smoothly workflow for with both the shopper and customers made in mind. They also stand by their high Shopify app reviews and excellent customer service. Conversion as a pay as you grow plan, based on how many customers your store has or will have. Klaviyo is not only an email automation app, it also gives Shopify owners detailed data and easy access to email marketing automation. You can see in real time all your clicks and traffic so you know what to fix to improve sales. Easy and flexible templates for automated emails like abandoned cart emails, welcome series, and order follow-ups. 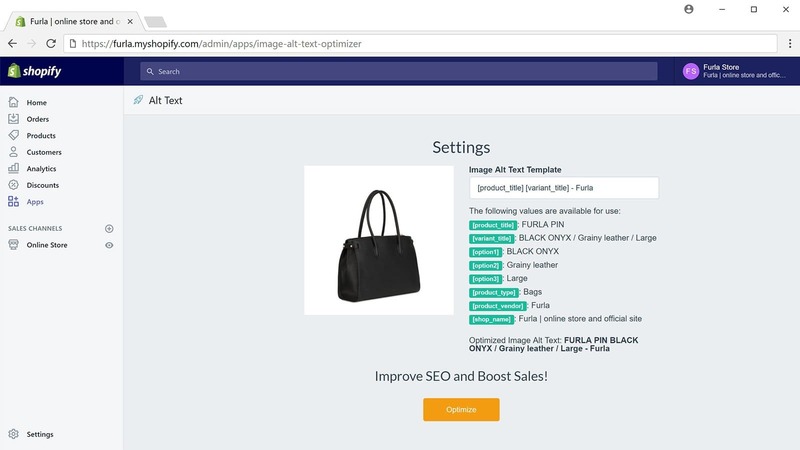 OptinMonster is one the few email marketing apps that easily integrates with Shopify without the need of a coder or installing snippets of code on various pages of your site. 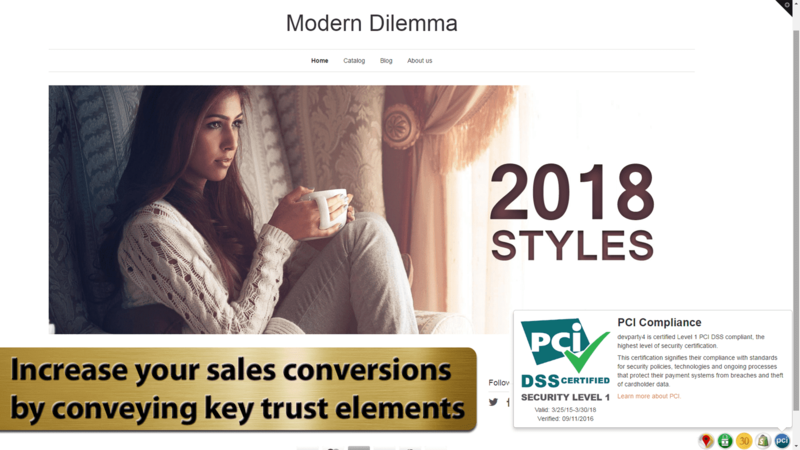 Not limited to automated email marketing to push sales and products but also provides popups, discount codes and targeted e-commerce conversions with list segmentation (selecting which customers to send special offers). 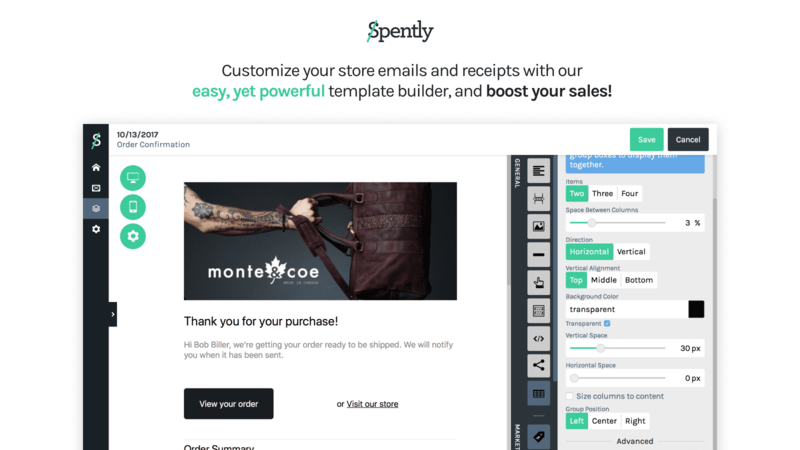 Another user-friendly email marketing app for Shopify. It provides SEO-friendly templates and guidelines for customers so you can make the most out of your marketing. It does a have few limited features so if you’re looking for a simple way to do your email marketing, consider Sumo. That's why I'd recommend the Wishpond Pop-Up Builder. 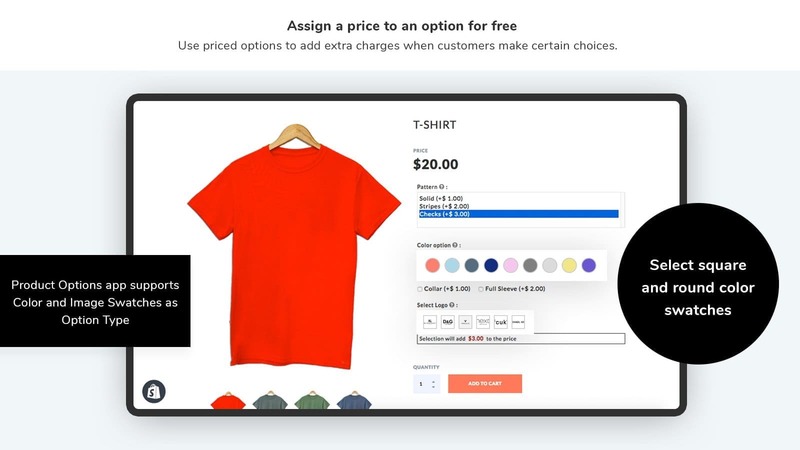 Capture a sale as customers land on your store with a customizable pop-up. 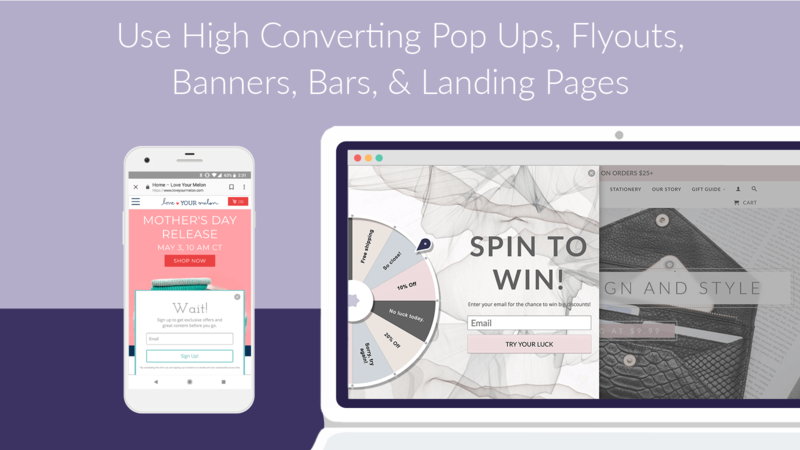 Wishpond's pop-up builder comes with easy-to-use features, unlimited customization, and it's 100% free. 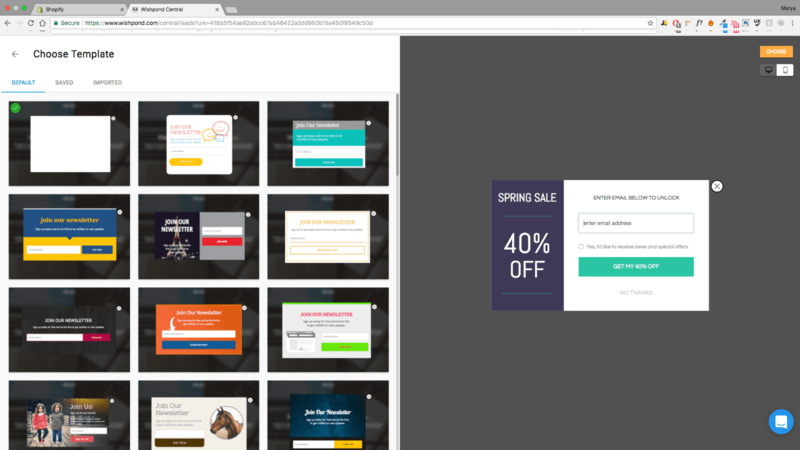 Pop-up window works with your MailChimp and Klaviyo plan to help you secure your Shopify emails in one place. 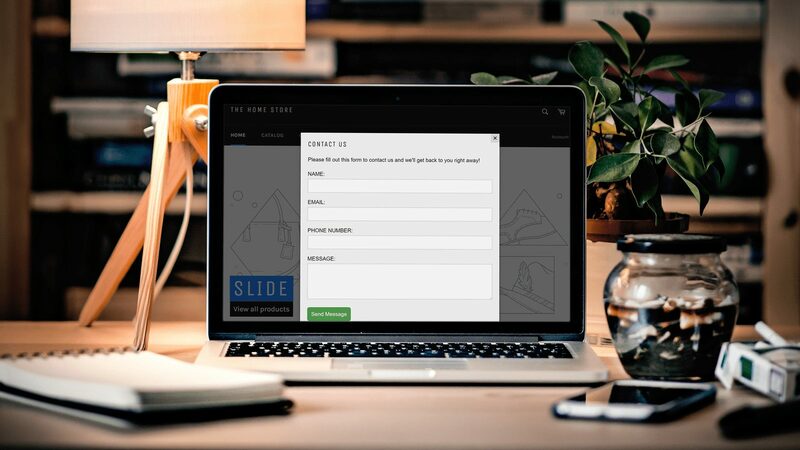 This Shopify app offers reusable templates and images you can use for your pop-up designs so you don't feel limited or lost when it comes to designing them. Price: Starting at $5.95/monthly for Basic package. Privy goes the extra mile when it comes to email pop-ups. 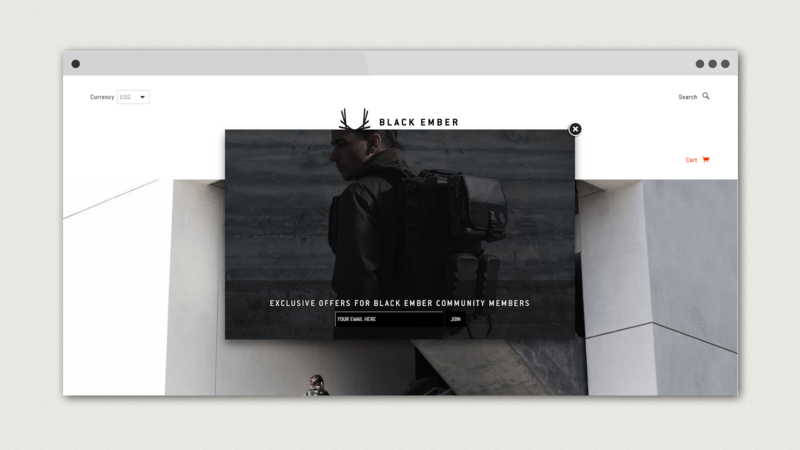 It gives Shopify owners the option to create banners, announcement bars and exit intent strategy so that you can get the most out of each Shopify visit. It’s well-rounded email marketing and discount strategy tool to increase sales at ever point and page of your Shopify store. Privy also auto-sync contacts to MailChimp, Klavier, Soundest and Adroll so you can get added features and store your emails in one place. Price: Upgrade starting at $24/month. This app was created by Beeketing, which has a great reputation for building apps that work with ease along with great customer support if you ever need help along the way. Happy Email is simple and easy email marketing app because it only sends your customer's welcome emails and order confirmation emails. Its features are much more limited than those previously listed above, but it does get the job done. 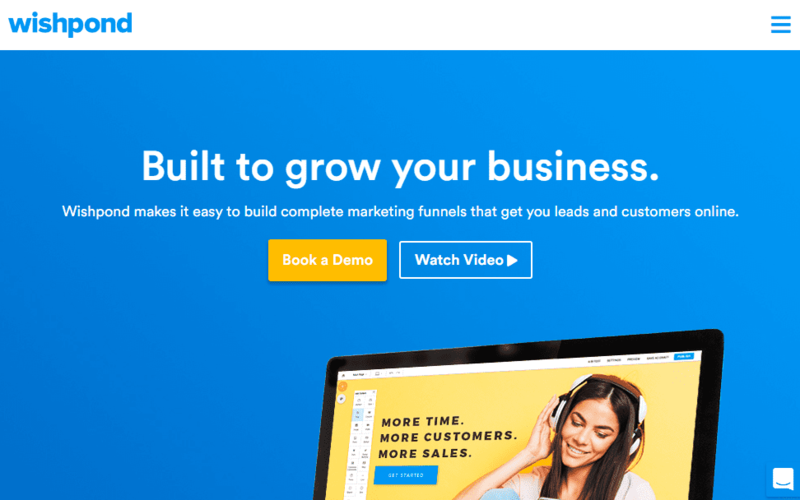 Metrilo is the hybrid of Klaviyo and MailChimp. It combines a powerful CRM, email marketing, and analytics all in one for your Shopify store. It's an excellent app for both Shopify beginners and advanced users. This app is a great all in one email marketing solution for your store. 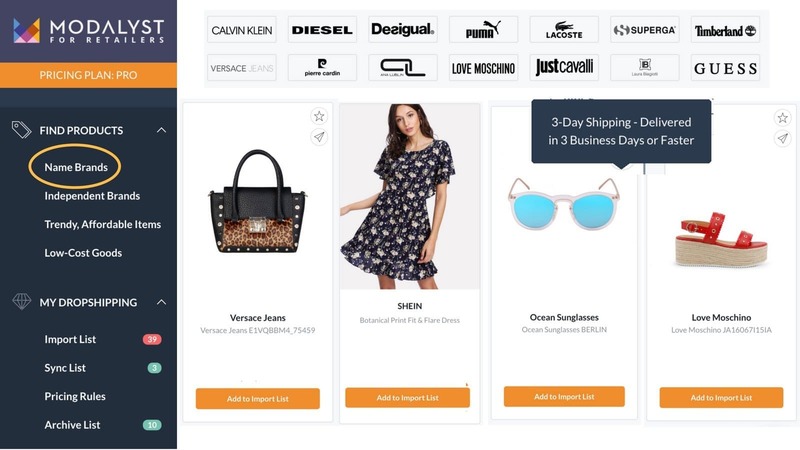 OptiMonk allows you to customize exit intent & messenger popups , cart abandonment popups and also increase cart value with a popup so you can tempt customers to stay and buy or add more to their cart. SmartrMail is, dare I say, a smart way to do automated emailing marketing for your Shopify store. 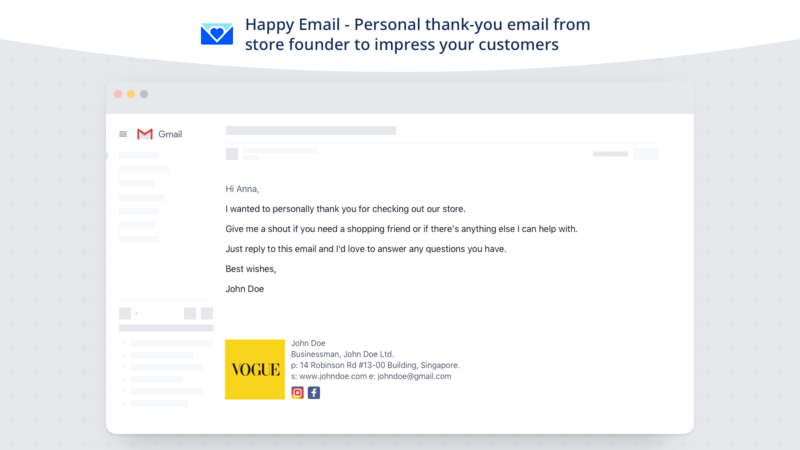 Giving you personalized emails with your store products all based on your customers buying behaviour, like their purchase or browsing history so you only push the products customers are interested in buying. When you sign up you also get an plan rep that helps you to get on the right track, which is always a plus for any Shopify owner. Your plan rep will answer your questions and guide you to getting your emails done. 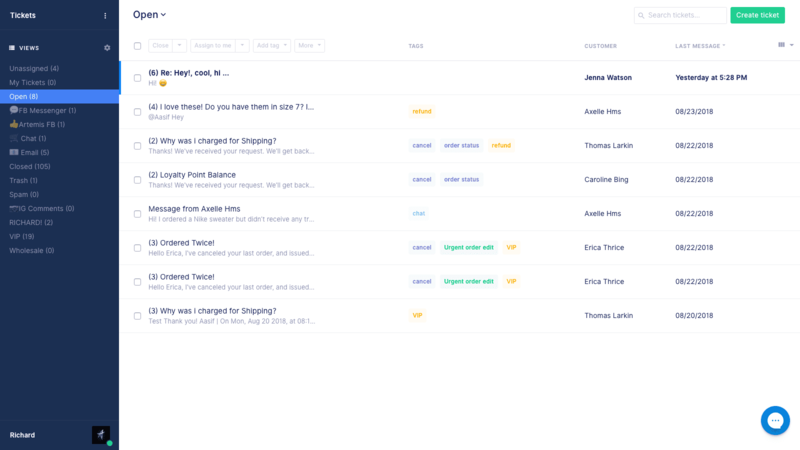 Mailbot is like having a virtual email marketing assistant but more robot. 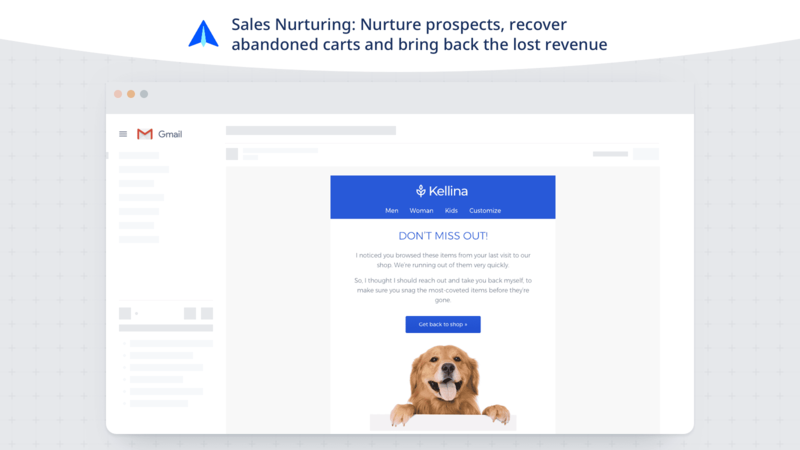 Mailbot is an automated email app that sends out newsletters that upsell your products, giving your customers updates on new arrivals, buy-again emails, recommendations based on their shopping history and can send scheduled discounts to specific customers. You also get simple analytics to track your progress and result. You can integrate Mailbot with Better Coupon and Mailchimp for added features. Supercharged Store Emails is like having a built-in Shopify version of MailChimp for your store. Use Supercharged Store Emails to create automated emails with specials, discounts and product recommendation to boost orders. This app offers you a customizable template and analytic dashboard so you can track the progress of your clicks and offers. 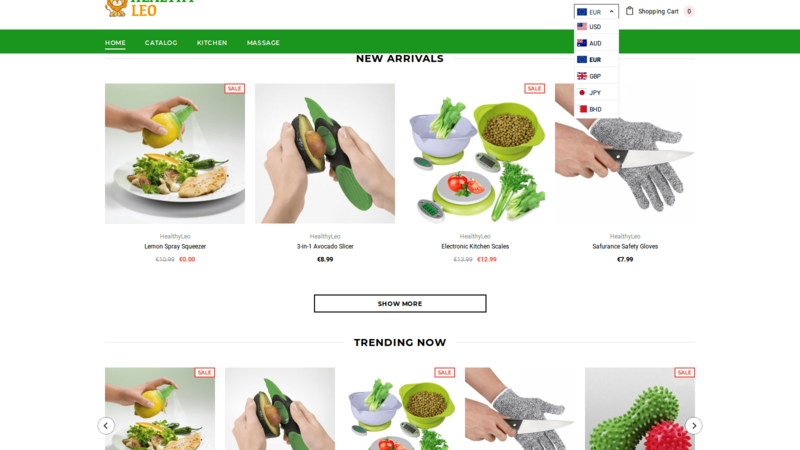 It's no secret that not all your Shopify customers come from the same country; your store is a global platform open to buyers all over the world. Having a way to show local currency helps your customers see your product prices in their local currency, which makes it easier for them to know how much they’re actually spending. That’s why I’ve created a little list of the best currency converters you can add to your site to make your international customer feel right at home shopping. This app automatically converts with its Geo-Location Based Country Detection, so customers don't have to work out the conversion themselves. Don't worry; customer will have the option to switch between their international currency and your local currency. Use the Currency Converter Plus to quickly and professionally convert your Shopify currency. It automatically detects your visitors country and then shows the price in their currency. It also provides exchange rates and IP geolocation. One of the top reasons Shopify stores fail to makes sales...bad product and store images. One way to increase sales is to have great product images so customers can see and feel the product with their eyes. I’ve included the best Shopify apps for media and images so your store can drive sales with better images. So maybe you have high-quality product images, even professionally done images just for your store. But did you know that the bigger your images file size is the longer it will take for your website to load. Nothing stops a sale like a slow website. That's why I'd recommend Crush.pics. Crush.pics automatically compresses any product or blog images that you add to your Shopify store without affecting its quality. It also makes it SEO optimized for search engines with alt text and SEO image features. Don't let image speed get in the way of a sale. Seeing is believing when it comes to online shopping. So why not give your customers the ability to look at the details of the products they want. This handy tool is unlike most magnifying product apps where you don't need high-quality images for customers to zoom. The app's zoom automatically adjusts to picture quality so customers can see the details without a massive pixelation on their screen. It's also mobile friendly so customers can take a good look at your Shopify products on the go. You also get cool features like customizing the zoom background image and applying to multiple pictures at once so customers can check the details from every angle. Raise your hand if you're tired of uploading and editing endless product images one by one. Bulk Image Edit can help you to upload your images, resize and compress them without losing picture quality. It also allows you to add Alt Text to your images to increase sales through SEO. You can also create image templates so that all your product images are the same ratio to avoid mismatched sizes on your Shopify, which can be a real turn off for shoppers. If you choose to upgrade, you can add your brand's logo or name as a watermark so even if someone shares or uses your image you have visual ownership of it. 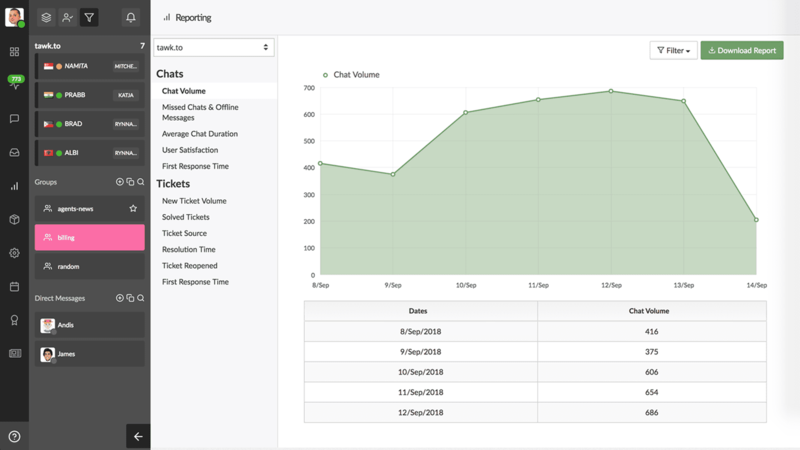 Tidio uses chat and automated marketing to provide customer support through chat messaging. 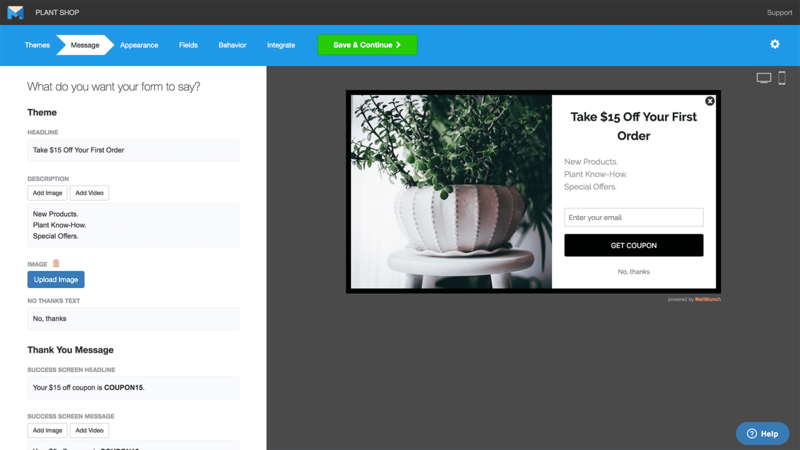 With Tidio you can send automated messages, provide customers with language options and gain analytics from viewers on your Shopify store. Chatra holds a 4.9 rating in the Shopify app store from almost 400 reviews, so you know it's a keeper. Chatra allows you to live chat with your customers. You can use this app from your desktop or mobile. 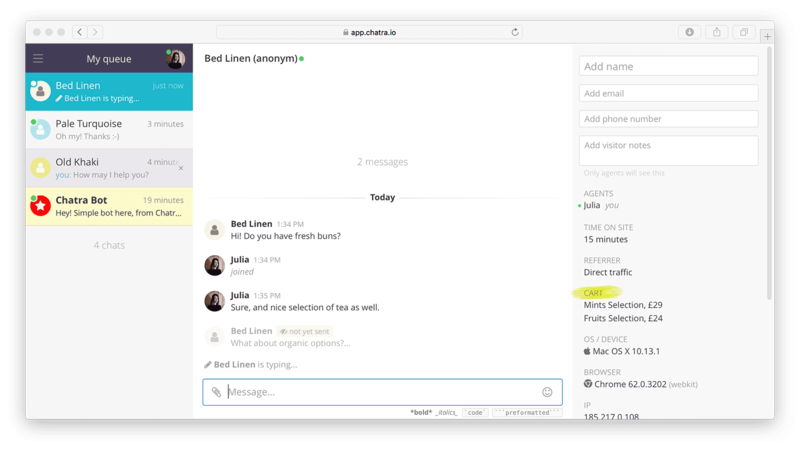 You can customize automated chat messages so you can give customers the attention they need right away, which is great if you have a lot of customers to support for your Shopify store. 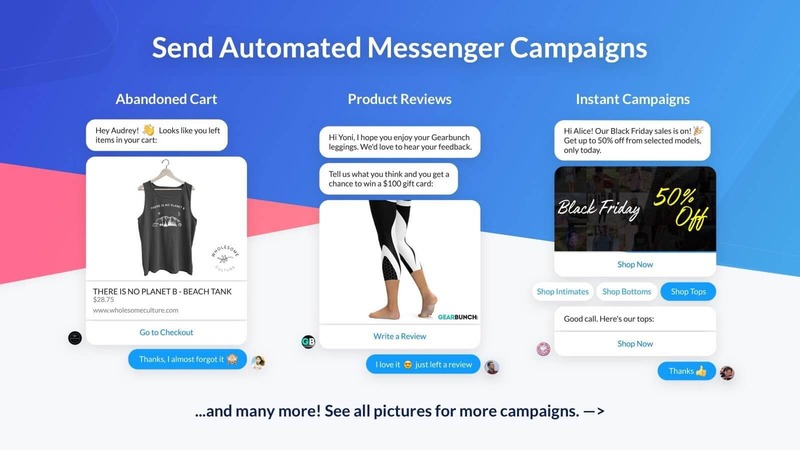 This app connects your Facebook Messenger to your store by embedding a chat icon so customers can use it freely without the hassle of sending an email. That's why it called 2.0. 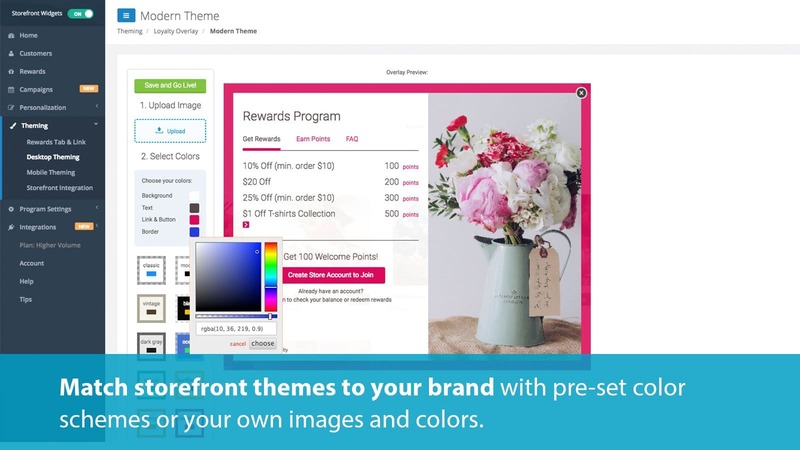 You can also customize the colour so it matches your store's theme and creates a welcome message with an image. Facebook Chat 2.0 also works on desktop or mobile devices. 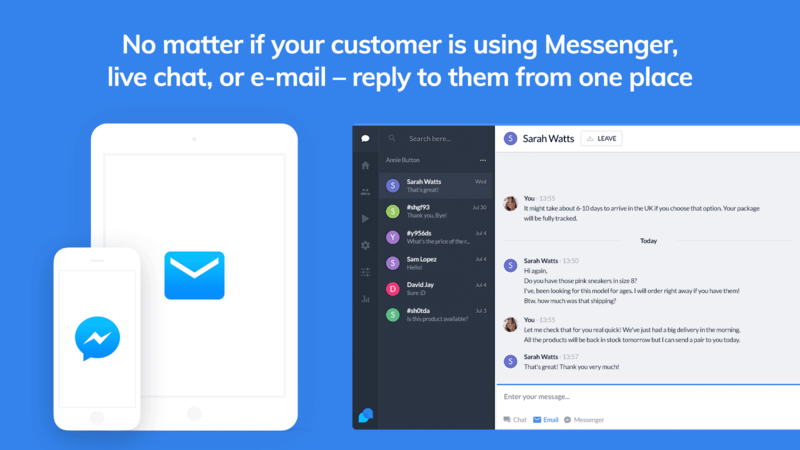 This messaging app helps you to professionally handle your customer support. It's easy to install and includes automated chat messages and scheduled messages. Using a ticketing system so you can handle your leads professionally and monitor website visits. If you own multiple websites or Shopify stores, you can also use this app just the same. tawk.to is available in iOS, Android, Windows and Mac OSX apps stores so you and your customers can stay connected anywhere. Here’s another simple messaging tool without the added features. 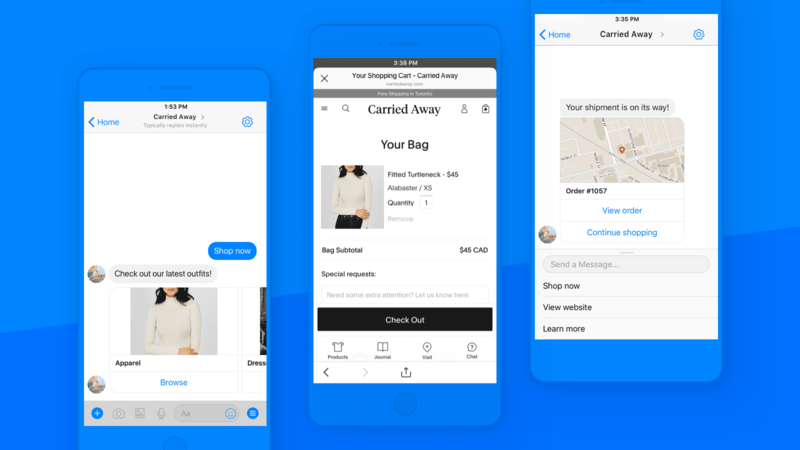 The Facebook Messenger app connect to your Shopify store's Facebook page and begin chatting with your customers. You can set-up an auto-reply or talk to your customer directly, so they know real humans dealing with their issues. This app also helps business owners increase sales by allowing you to add products to the chat menu for customers to make a purchase and opt-in to get updates on their order status. 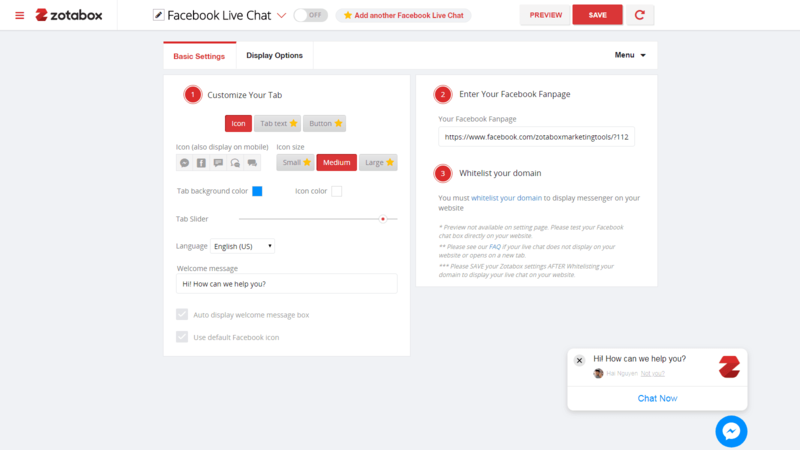 Facebook Live Chat connects with your Facebook page and provides simple chat and upselling features. You can get messages sent to your inbox to notify you if a customer messages while you're away from your Shopify store. You don't need to install code, it’s an easy set up to start and it won't slow down your Shopify store loading speed. There is a free plan available and if you choose to upgrade, Facebook Live Chat promises if you don't increase your sales in 30 Days you can have your money back and go back to free account. That sounds like a pretty good deal. WAShare + Chat is a chat app with a twist. It not only offers chat features but allows your Shopify customers to share store, products or blog post from your Shopify store to their friends and family. So now your fans can share your store and products with other potential buyers. This app also comes with a widget that you can turn it off/on when needed, along with analytics for upgraded accounts. Need a virtual sales assistant to man the store while you're gone? Add Live Chat by Combidesk to your list of apps to have. 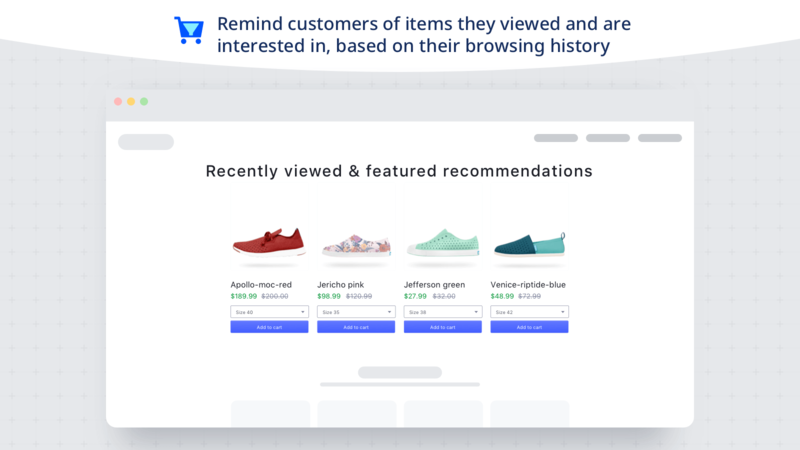 It monitors live visits to your Shopify store to analyze your customer's data (page and search history, returning visitors and products) and then makes personalized suggest to each customer to boost sales. This chat app starts the conversation based on current products in the customer's cart, and then suggest more products based on their taste. You can also integrate with Zendesk and Zopim to add customer support to your store. Everyone loves to shop. Clothes, books, music, it doesn’t matter. It seems like everywhere you look there's another new product at a new unbelievable price. With payment plans, you help your customers keep on shopping without having to worry about footing a giant bill at the end of the month. You can also use payment plans for monthly subscription products to help create recurring revenue for your business. 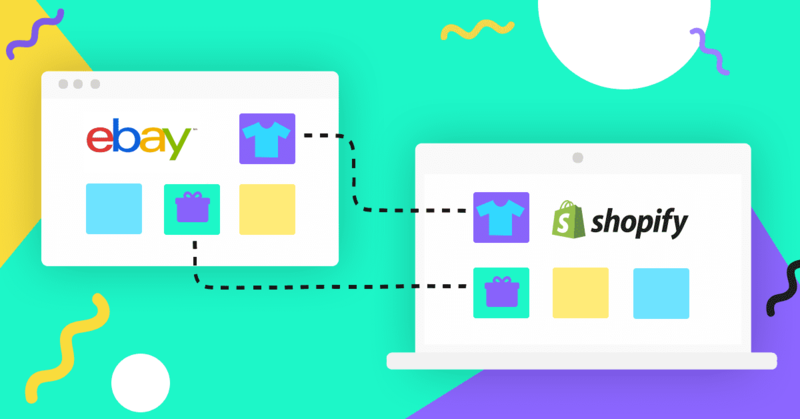 Here are 6 of the best Shopify apps for payment plans for Shopify stores in 2019. The Partial.ly app helps you to create flexible payment plans options for your Shopify store. Giving your Shopify customers the choice to choose a standard checkout or a payment plan checkout option. When they select the payment plan option, their shopping cart total will automatically adjust to the new lower payment price. They'll see the terms you've created for them to qualify, and once your customer agrees they can enter their payment details and the order will be added to your Shopify admin with scheduled payments automatically setup. Worried about credit card scams? Don't worry Partial.ly gives you alerts for expired cards or when customers change their payment methods. You can also control your payment plans workflow both automatically or manually. 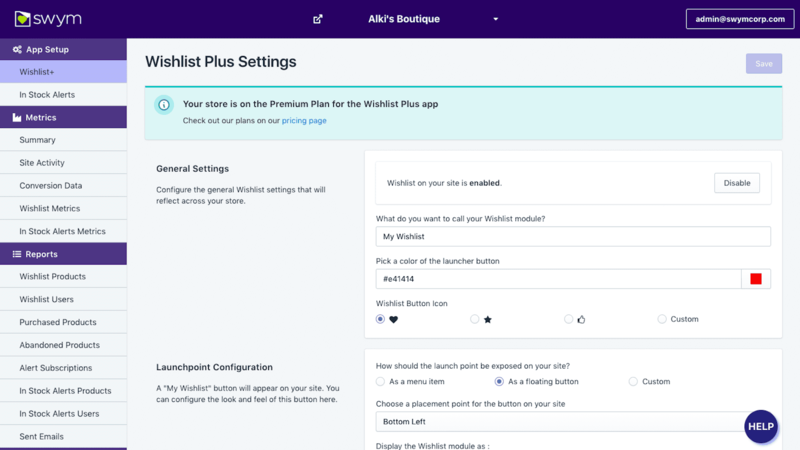 One of the best payment plan apps out there PayWhirl provides you with an easy copy and paste widgets and API software for your Shopify store. PayWhirl customer-friendly features help you to create and customize your subscription payments plans for multiple or single payment plans so customers can choose either one or both. Once your customer has to create an plan with you, PayWhirl's smart shopping cart can identify customers previous and current subscriptions. 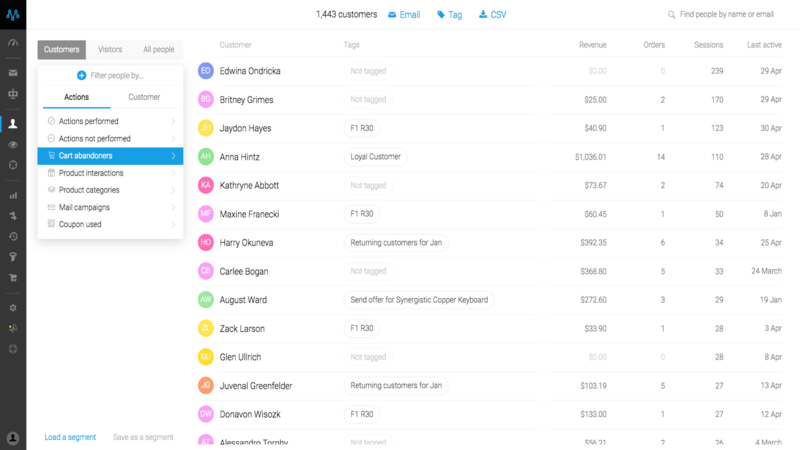 PayWhirl automatically send invoices so your customer can track their plans. One of the things that makes this app amazing for your Shopify store is that it accepts all major credit card brands for over 100 international currencies so your international buyers can use your payment plan too. You can also track your sales, outstanding and current payments with their insight dashboard giving you a professional handle on all your payments. Unlike most payment plan apps on Shopify, the Recurring Payment app doesn't need customer login and registration login so they can quickly subscribe for your payment methods. Your customers will also see a "Payment Plan" button next to the "Add to cart" on the product pages you want. Giving you the option to send customers recurring emails with payment links that accept over 100 payment options connected to your Shopify Billing system. Just keep in mind that the app generates automatic invoices only, and still have to bill your subscribers manually, but this app takes 0% commission from your payment processors. Need to sell monthly subscription boxes of your products on your Shopify store? ReCharge provides the features you need to do just that. With this app, you can turn your product into a monthly subscription with a “Subscribe & Save" option on your product page. ReCharge also gives your customer control over their monthly subscription, update delivery dates, plan settings and product change, so your customers feel in control and are less likely to cancel their subscriptions. If you're not using Shopify Plus, then you won't be able to ReCharge for recurring your billing until you upgrade your account. This app also works with Smile, Klaviyo, Zapier, Mailchimp, Refersion and Loyalty Lion. Sell your products to your customers in person and take your Shopify inventory with you. Use Shopify POS for pop up shops, trade shows, and anywhere else you'd like to sell your products. With Shopify POS software all your sales are automatically updated in your Shopify store. Accept purchases with Shopify card readers and give customer invoices with receipt printers or email custom receipts with discounts and return policies. Check out here is an easy and safe way to provide payment options and secure customer sensitive data like credit card numbers and invoicing. Get a trusted payment logo to endorse customer trust when purchasing products from your Shopify store. Check out Hero also provides SSL Certificate & Encryption so you can make sure that any information customers give you isn't hackable and safe with you. You can also autosave customers information so when they log in their data is ready for them. 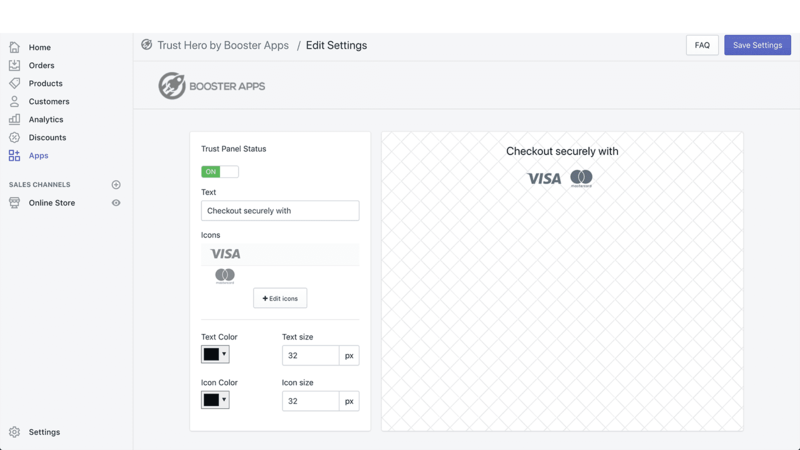 Check out Hero also gives your customers the option to store their card details, which makes ordering straightforward and faster. Learn more about costs here. There’s nothing like having your eyes set on the latest and best products coming to your favourite online store. The thrill of waiting to be one the first persons to purchase it before anyone else. Wouldn’t you like your customers to feel that way when they pre-order with you? Pre-orders are not only great for boosting sales for your Shopify store but they give you an estimate of how many customers are willing to buy your product before their in stock so you know how much profit expect. Looking to launch a new product or tease your customers with a new item in your Shopify store. Here are the 4 best Shopify apps for pre-orders you can use to increase sales. Pre-Order Manager is one of the best pre-order apps out there with a standing 4.9 rating in the Shopify app store. Pre-Order Manager changes your "Add to Cart" button to “Pre-Order" for select items that are either of stock or soon to come. You can control how many pre-orders can be made for a single order or in bulk and the variants it has such as a particular size or colour to know how many orders to expect. 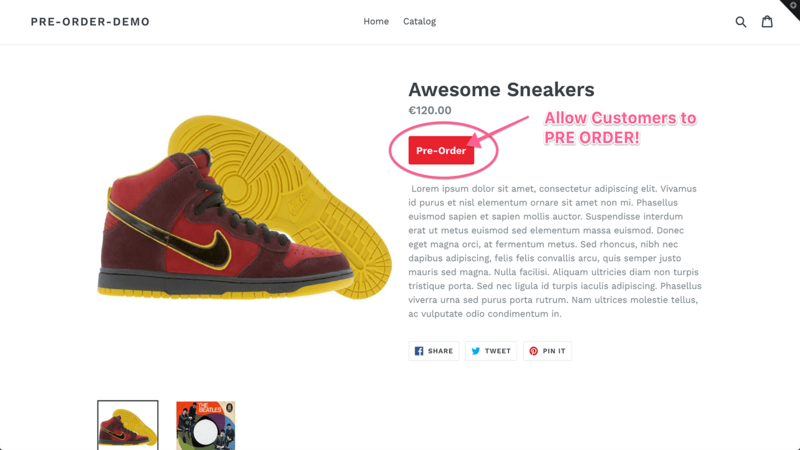 You can customize options such as pre-order start/end dates or changing the text, style and color for your Shopify's "Pre-Order" button. 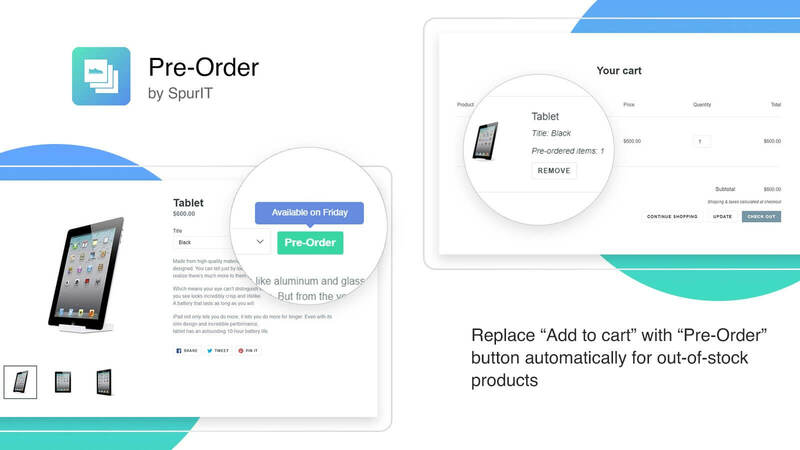 You can also track your detailed order list and actions with pre-order analytics. If you're having trouble installing this app with your Shopify theme, the Pre-Order Manager team promises to fix the problem in 24 hours. So you're assured great customer service as well. Pre-Order Now is a 4.9 customer rated Shopify app that makes this list as it not only gives you the option to change your "Add to Cart" button to "Pre-Order now" but it does it for you automatically once the items inventory goes to zero. Cutting your work in half. It also gives your customers quick previews or products and collections with a popup feature. You can also customize the text and styling of your button, so you’re not limited to it saying "Pre-Order". It also includes order tagging in your Shopify Orders dashboard, so you know which orders are for pre-orders at the same time warning customers when their pre-order items in their cart are back while they're on your store. Pre-Order Hero is a pretty simple pre-order app, unlike the ones listed before it only has the feature of adding a pre-order button on your product page. 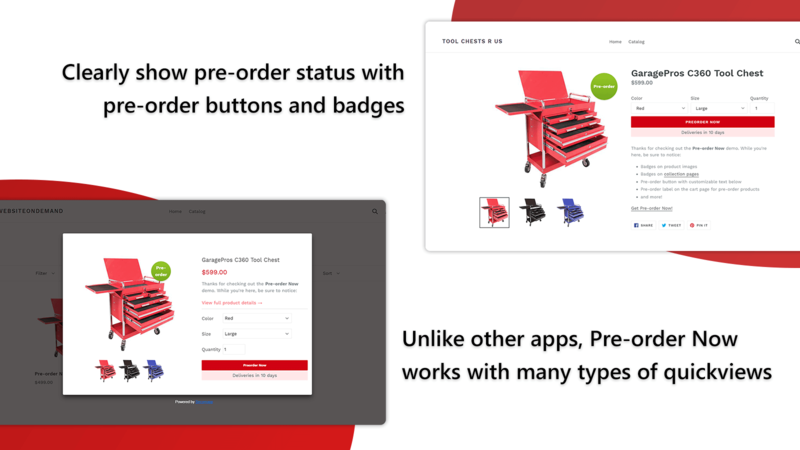 If you're not looking for anything fancy and just want your customers to select pre-order for your products Pre-Order Hero is the right app for you. It's a one-click installation; no DIY coding required and they have excellent customer service to help if you get into any problems. Side Note: Pricing is based on your Shopify plan so there are prices may vary depending which plan you're currently using or if you plan to upgrade. If you're looking for a pre-order app that's centered more around customization, then you may want to use PreOrder. It allows you to pre-order variants with endless options and allows customers to see the delivery date, so they know when to expect their order without having to send an initial email to update them. If word of mouth is the primary factor behind 20 to 50 percent of all purchasing decisions, then you want your store to have it. 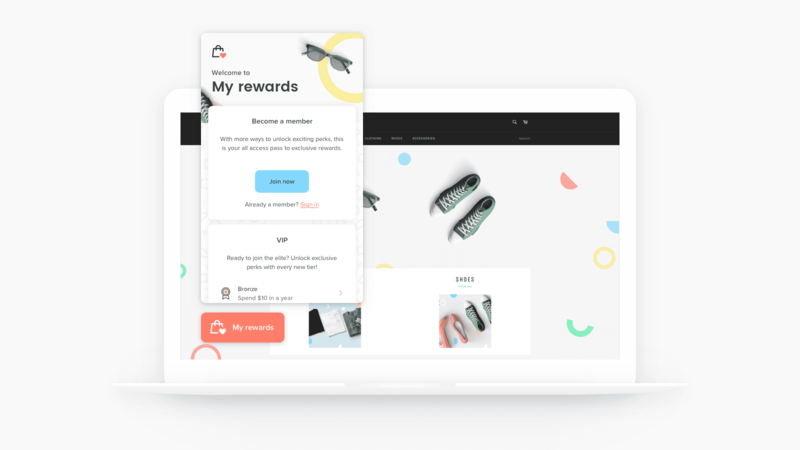 Rewards and Referrals by Swell is one of the best referral apps and is a certified Shopify Plus Technology Partner to prove it. Swell allows you to reward to your customers for writing reviews, referring customers, sharing your store and making purchases. It's like creating mini-brand ambassadors globally just for your brand. Swell’s not just a one trick pony, but it takes all the platforms you’re using and forms a broader reach to gain referrals for your Shopify store with easy integration with other apps and social media platforms like Facebook, Hubspot, Yotpo, MailChimp and more. This app has a high rating and the customer service to match no matter what your plan is. One of the sweetest referral app in the Shopify store. Referral Candy allows you to reward your customers for referring friends and family to your store so you can turn your customers into brand ambassadors for half the cost of hiring one. With Referral candy you don't have to limit yourself to just product discounts but specials, delivery rewards, or a special gift to sweeten the deal. You can customize the limit for referrals, create automatic reward deliveries via email, reminders and use your analytics dashboard to track how many customers are receiving and using your rewards. This app integrates with your Paywhirl, ReCharge, Recurring Orders, s-loyalty, Bold, MailChimp app for better optimization. One of the best app that combines email marketing and referrals and great customer service Rewards + Loyalty & Referrals is an app to consider when it comes to creating a good customer loyalty program. Like most referral apps it only works if you have upgraded to a Shopify Plus plan. Once you install it, which by the way needs no code. 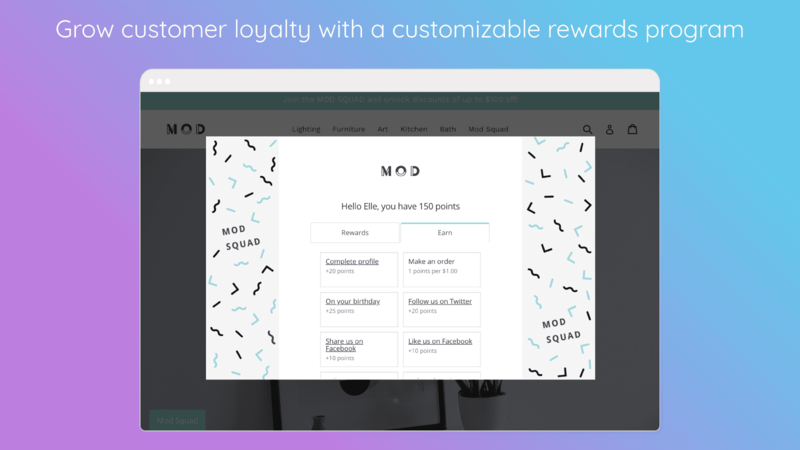 You can increase sales by giving out rewards to your customers for store reviews, birthday gifts, email subscriptions, social media engagement and more. You can also customize each feature to match your brand so that your emails, pop-up and alerts look like you make them and not a third party app. It also supports POS which is lacking with most referral apps so you can reward your customers on the go at trade shows, pop-up shops and anywhere you'd like to sell. You can also set up a tier system, so only certain customers get specific rewards, almost like a VIP reward system for your Shopify store. If you're looking for a referral program that's based only on a "Refer-A-Friend" program then Conjured Referrals is your app. Decide where you want to display the referral (after they purchase, on your homepage, via email, etc.). Conjured Referrals is free to install and doesn't charge you a commission for transactions or rewards to offer your customers. This app also works with Mailchimp, Klaviyo, Sendgrid, Facebook, Twitter and Omnisend to better your reward system. Reward your customers for following your Shopify's social media, encourage reviews and offer points with your LoyaltyLion. LoyaltyLion is the only loyalty company to integrate with Shopify Plus features to bring you the most advanced loyalty program. You can send loyalty emails via MailChimp, Klaviyo, Dotmailer, Bronto and Hubspot to boost your sales in email marketing. If you have POS, you can use Loyalty Loin to reward your customers on the go. Along with new monthly features, Loyalty Loin allows you to make VIP reward programs or specific rewards for your customers. One the best loyalty program via email marketing with a 4.9 rating in the Shopify app store. This app allows you to create loyalty and VIP programs through surveys and email automation. It works with your Shopify store and POS system so no matter where you or your customers are you can reward them. With this app, you get Loyalty Program to reward customers for spending or to share your products, VIP Program so you can give special discounts to loyal customers, (including a VIP 2.0 sections as well). Send Birthday Email Flow to reward customers on their special day and lastly. Best Customer Email Flow to make returning customers special as they continue to buy from your Shopify store. Social Boost provides you with multiple platforms to run giveaways and sweepstakes, referral and sharing campaigns to grow your stores online following. Host contests with entry methods like sharing, following, watching, referring, commenting, visiting, answering, commenting and reviewing your content or products. If your unsure what type of giveaways to do for your Shopify you can check out some ideas here to inspire you while you use this app. Social Boost connects with your social media platforms like Facebook, Instagram, Twitter, Pinterest, Google Plus, SoundCloud, YouTube, WordPress and even landing pages. 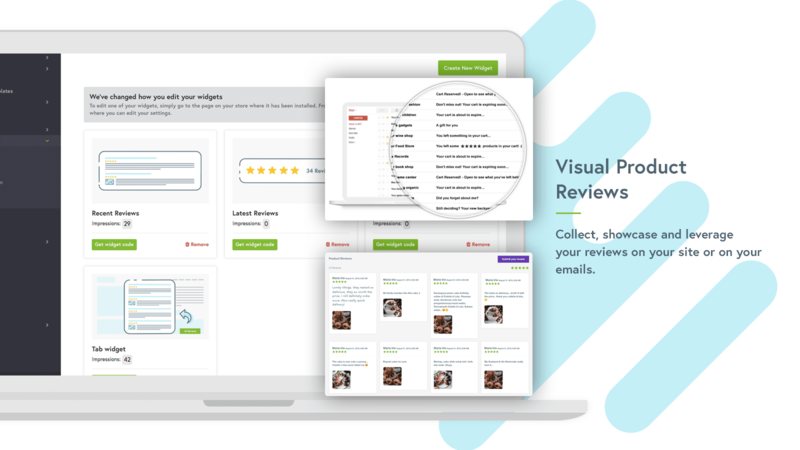 You can also connect your Yotpo or Judge.me plan for customer reviews. Set restrictions on your contest or giveaways like country, age and double entire to prevent cheating. You can also translate into any language so anyone can enter. Then keep track of it all with Social Boost and Google Analytics. Don't miss out on sales by forgetting to let customers know when you have items back in stock. 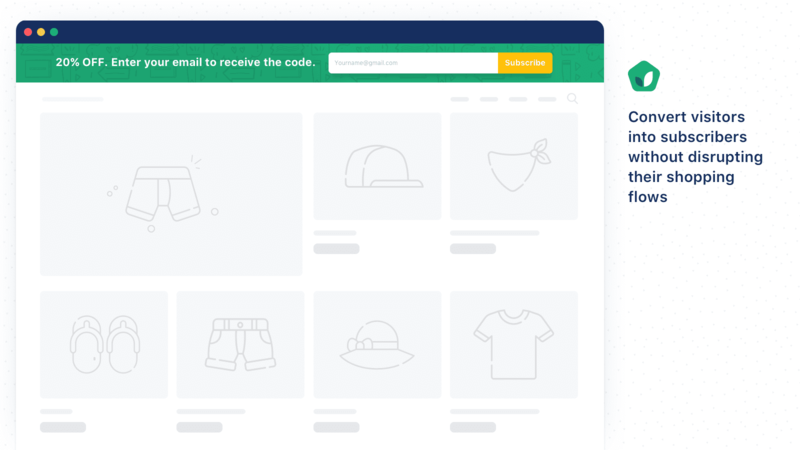 You can use any of these best Shopify apps for restocking and inventory to boost sales, capture visitors and bring back past customers to repurchase again. Hate feeling limited with your Shopify products? 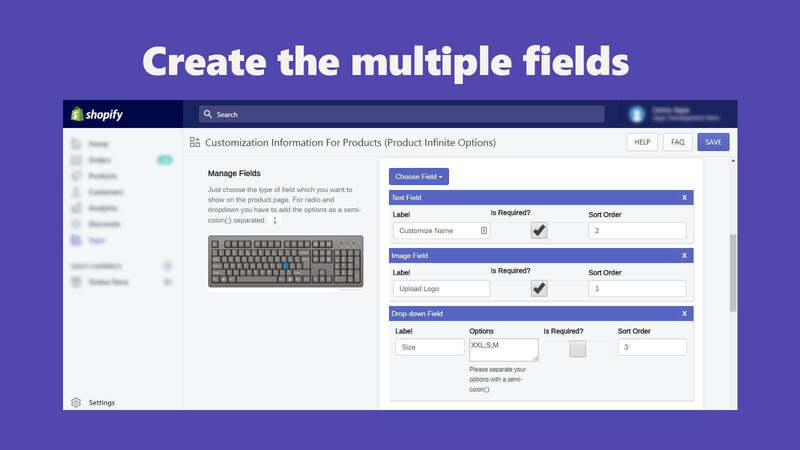 Add personalized product options with Product Infinite Options. If you decide to sell a book, you can give customers the option to choose the size, colour or even add their names to it. 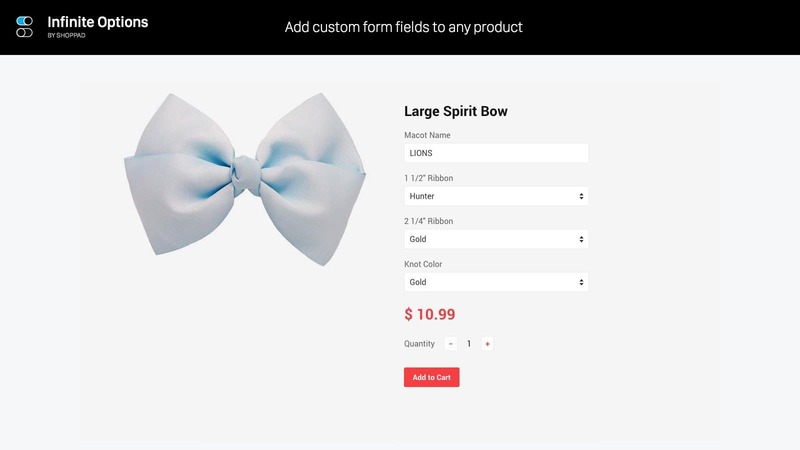 You can add a drop down menu, text, numbers, checkboxes and more with unlimited product customization, so you're not restricted with Shopify product variants. You're not just limited to product variants; Product Infinite Option gives you the functionality to add additional charges for services or addons offered with your products and more. There’s nothing like knowing that your favorite item is back in stock after being sold out. 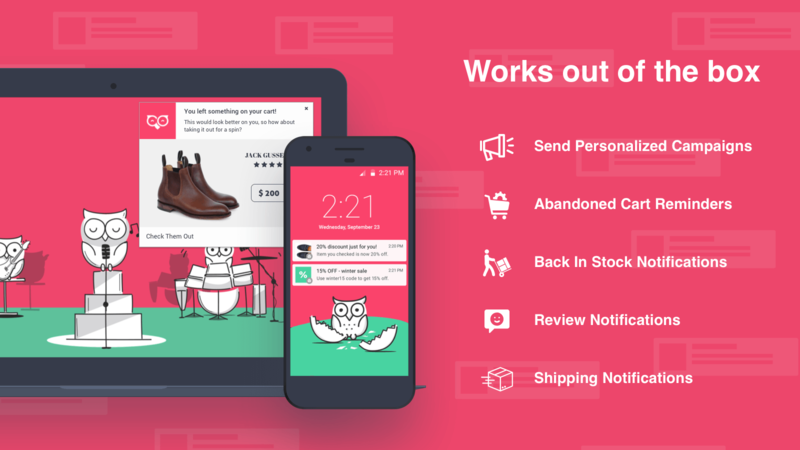 The Back in Stock app sends notifications to customers when their favorite items or any item are back in stock with a simple notification sign up. This app has a free email template for you to use or you can connect your MailChimp, Klaviyo, Shoelace retargeting, Constant Contact, Campaign Monitor account. Cut out the hassle of editing products one-by-one or going through a complicated Shopify product editor. 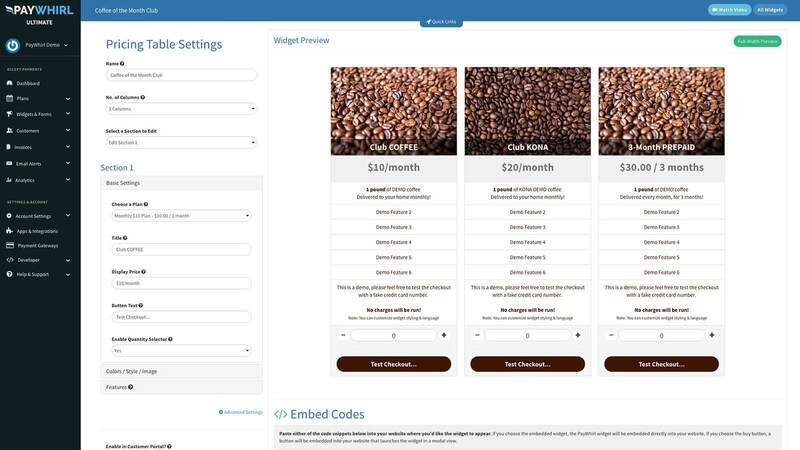 Hextom's Bulk Product Edit app helps you to edit multiple product prices, variants, weights or even product descriptions. Create unlimited custom options for specific products, collections, or your entire Shopify store. You can showcase your options in colours, sizes, file upload, various text or even multiple checkboxes. 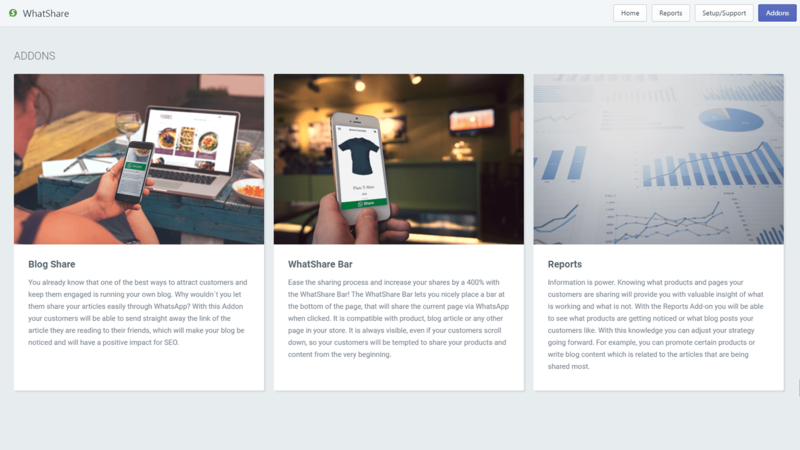 Now your customers can order exactly what they want from your Shopify store. Low Stock Alert is another easy-to-use Shopify app. Manage and track your inventory with this app, and you can send instant "low stock" alerts so buyer that they might miss out on a purchase and also give them restocking alert via email or pop-up notification on your Shopify store. 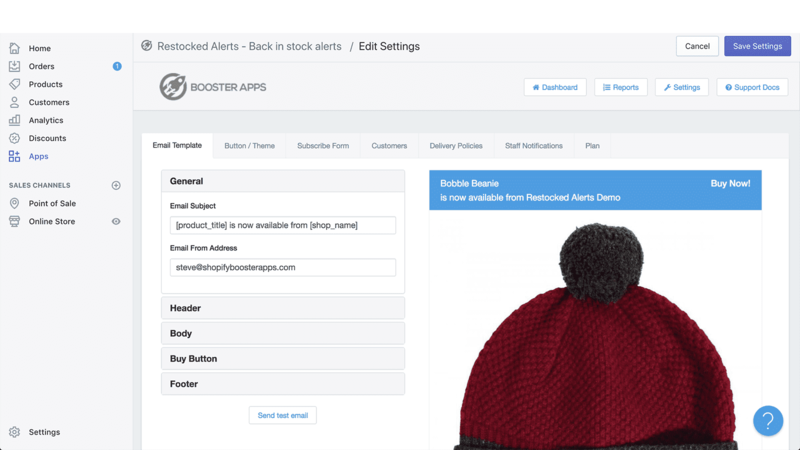 You can also choose when to set low stock alerts on specific products when they reach a certain stock number and customize your alerts so they fit your brand. Looking to display a look book, retail catalogue, or need to create some promotional material for B2B sales? Catalogue Maker gives you over 20 professional catalogues & line sheets templates to do just that. All of which can be downloaded into printable PDF's. Cut the hassle of hiring a designer and make your own digital version to put right on your Shopify store for customers to see. You can also place barcodes and QR Codes so buyers can scan your catalogue for prices or information instead of emailing you. 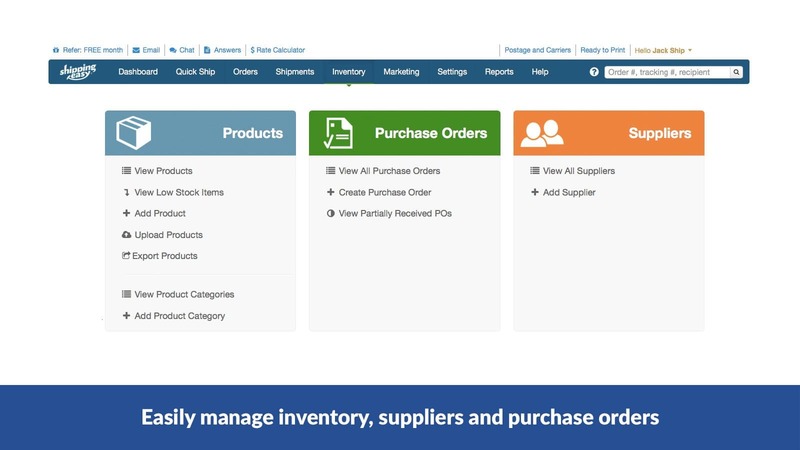 Catalogue Maker also provides you with templates for wholesale contracts and order forms so you’re ready for business when the orders start coming. If you're in the business of selling your items wholesale or selling to other businesses, then this is a handy app to have regardless of what your products in your Shopify store. It works for all niches. Managing a Shopify store with a big catalogue of products can be hard. So I'd recommend the TradeGecko app to anyone with a large number of product skews. TradeGecko allows you to automate your order workflows, and lets you sync inventory and payments with accounting apps like QuickBooks Online and Xero. TradeGecko also allows you to maintain your workflow with a seller dashboard, receive, take, pick and ship your stock. If you do dropship, TradeGecko can help to manage products from Lazada, Jet, Walmart marketplace, eBay, Etsy, Wayfair, Joor, and more or sync your inventory with fulfillment by Amazon. I'd definitely recommend this for growing Shopify looking to get a hold on this. Another back in the stock app that helps you to bring back customers when their favourite items are ready to be purchased. Send your customers automatic notifications and insights on the clicks, emails and purchases made for the most in-demand products. As the name suggest, Infinite Options allows you to create infinite product options. 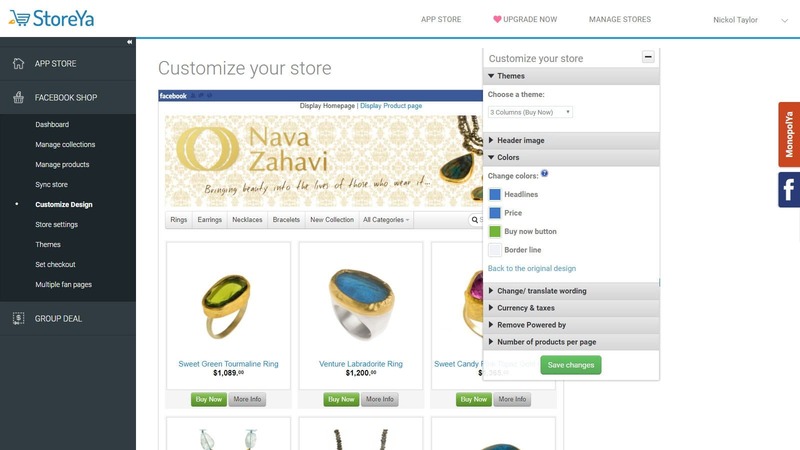 This app helps you to let your customer customize their product with drop-down options. You can add options like size, color, length, material, type, text, etc. This is a great app for an artist who is selling custom products or a seller who wants their customer to feel in control or customize the product they’re buying. With over a third of Instagram users using their phones to makes purchases online, and over 93% of people on Pinterest still likely to make a purchase once they see a pin, it’s safe to say social media is still great for business. Want to use social media to grow your Shopify store? If so, take a look at the best Shopify apps we found for social media. You can also try these 10 tactics to continue to grow your Shopify store. So you've been posting and making content for Instagram and Facebook. Now isn’t it time to show off? 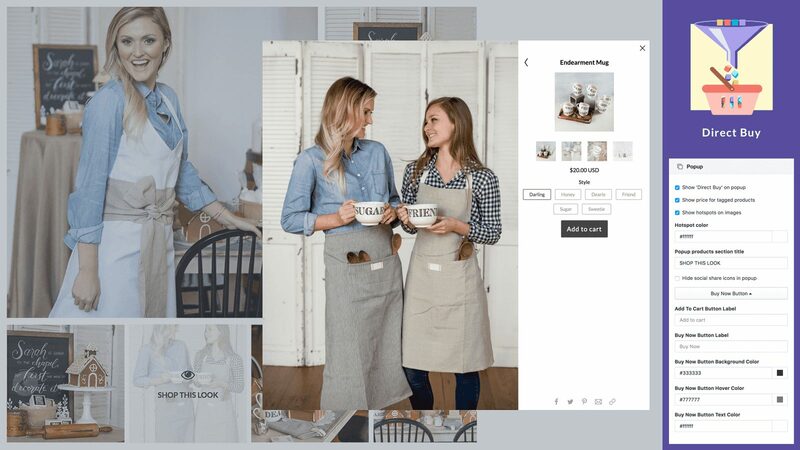 Social Media Stream enables you to showcase your posts from Facebook, Twitter, Instagram Youtube, Pinterest and Tumblr all into one social widget on your Shopify store. Unlike other social media apps this works with multiple platforms rather than just one or three which gives you more options and fans to gain. So customers can follow, like or stay up to date with the latest new from your Shopify store. No code needed just a one-click installation and you’re done. 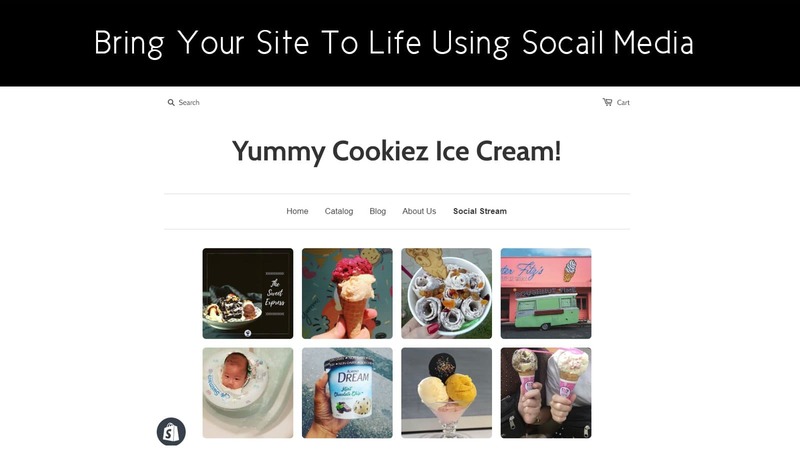 Socialphotos allows you to repost your customer's product photos from various social media networks using a website widget or hashtags. Since who do customers trust better that other customer? Socialphotos makes it easy to do social media marketing for your Shopify by using social media channels to promote products on and off your store. Use customer images and post to encourage visitors to shop at your store. Side note: if you want all the best features right away, most Shopify owners get the $50/month package. Pinoculars is a funny name, but good app to use. 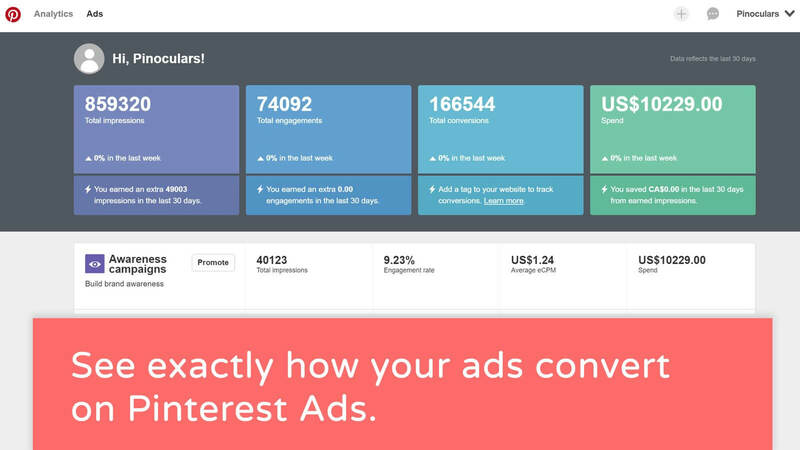 It’s primary goal is to track your Pinterest conversions and allow you to do optimized retargeting. Letting you know which Pinterest ads are working and which one’s that aren’t so you don't waste time when you can focus on which ads gain sales for your Shopify store. Sounds like something you might want? Unlike the original Pinterest app that Shopify provides, Pinocular's analytics are not limited and gives you the stats you want without the complicated mambo jumbo to drive you insane. Pinoculars has a high app rating and excellent customer service to stand by it. Go ahead, read the reviews. This Shopify app helps to improve your integration between Google Merchant Center and Shopify. This app is a far better option than the original Google Shopping App. The Google Shopping feed app actually improves the Google Shopping app by allowing you to add variant and options that improve your click-through-rate. View your promotions feed for all products in one place, customize your analytics and more. One thing that's great about Instafeed is there's no complex coding required. With one simple integration with your Shopify store, you're able to showcase your Instagram feed right on your Shopify store for customers to view. Seeing recent social media content on your site can really help improve sales, especially during the holidays. 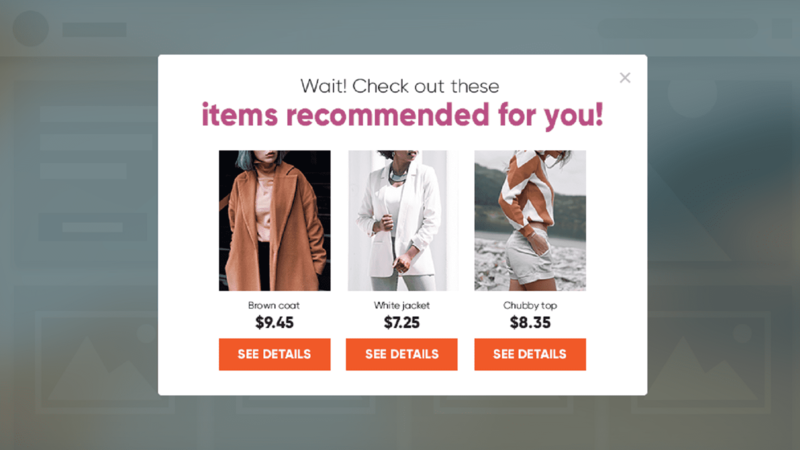 Along with adding your Instagram images on your Shopify, this app can make your Instagram photos shoppable anywhere on your site and even redirect your customers from post to shopping cart right on your site. 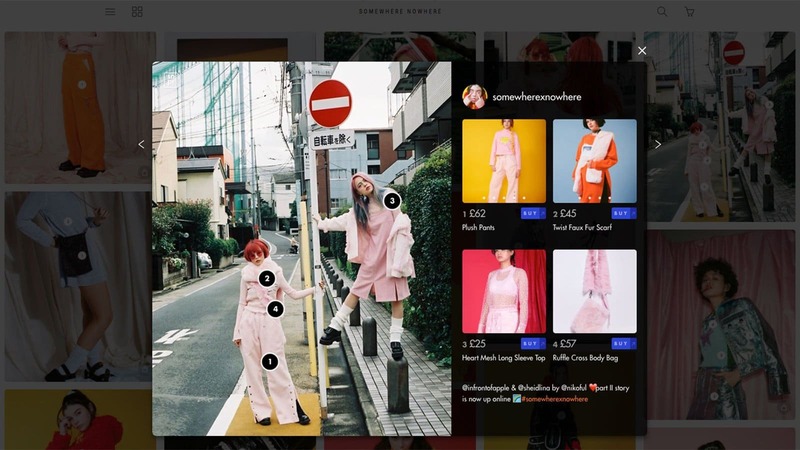 Showcase shows your Instagram post and makes them shoppable. No code needed just a click to integrate and use. This app has a high rating and great customer service to help you with all your Shopify queries. 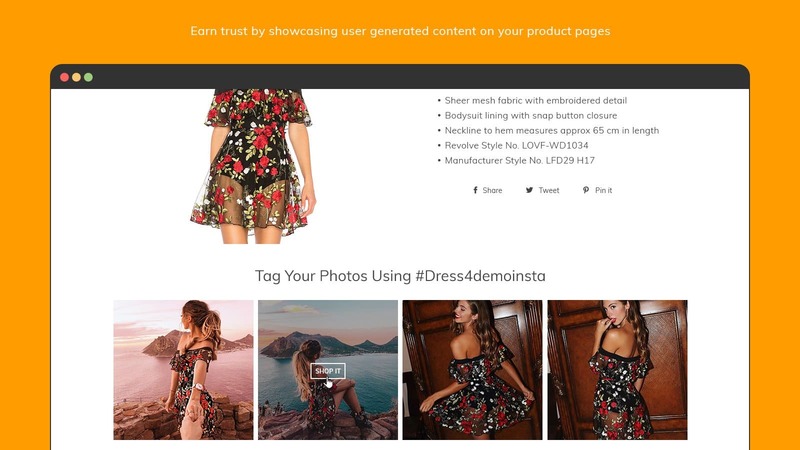 This app not only lets you show your Instagram post and tag them with shoppable tags but also allows you to repost 3rd party content and make it shoppable. This is a great feature to show off customer buys and influencers that use your Shopify store. It’s a real upgrade from just showing content! Covet.pics has all the features of other Instagram apps except this app enables your customers to upload their own Instagram images to your site. Once they do, you can reward them with a discount or more. You also have the option to automate post-purchase email campaigns to increase sales. Covet.pics also comes with analytics so you can track conversions and engagement to adjust as needed. A lot of people have trouble using the Facebook app direct through Shopify. StoreYa gives you a better solution. StoreYa lets you import your current products from your Shopify store to Facebook automatically with one easy integration. 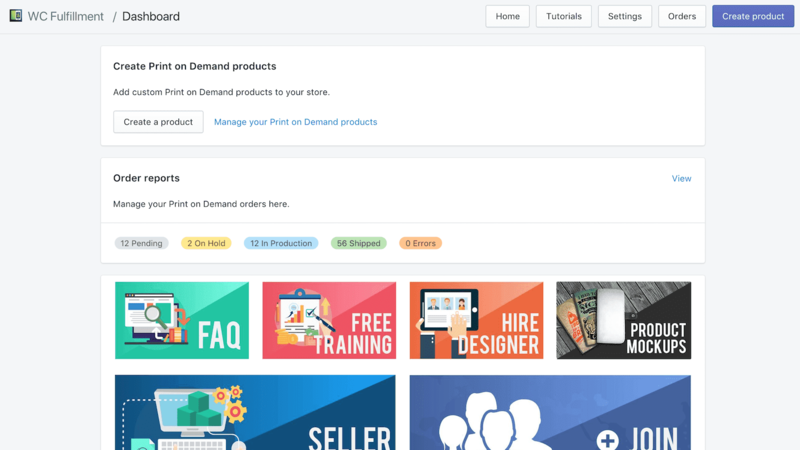 Say goodbye to manually uploading products! It also has extra features such as a currency converter, a social media tab, and more. Recart connects easily with your Facebook messenger app. It works best for Shopify owners who have made sales rather than those just starting their Shopify stores for the first time. With a raving rating of 4.8 on the Shopify App store, its proven its worth with many Shopify users. Since this app has no free trial, if you don't have any customers or orders coming in for your Shopify store as yet, it would be best to wait for this app. Try to have at least five customers who have bought from you or a certain amount of fans following your store on Facebook. That way you get money for your buck. With Social Autopilot you can create and customize twitter post about new blog posts and products from your Shopify store. The Buy Me Cart Button allows your customers to see a "buy now" button on every Shopify page so you increase your chances of making a sale. This allows your customers to purchase on any Shopify page, not just a product page. This app also integrates with Shopify Reviews, Yotpo Reviews, Judge.Me, Stamped.io, Google Analytics, Facebook Pixel so you have a wide range of possibilities to customize to your needs. The WhatShare app adds a simple sharing button on your Shopify page so that customers can share and purchase products from your store. This app is equipped with analytics, so you track all the products or pages being shared or clicked on. 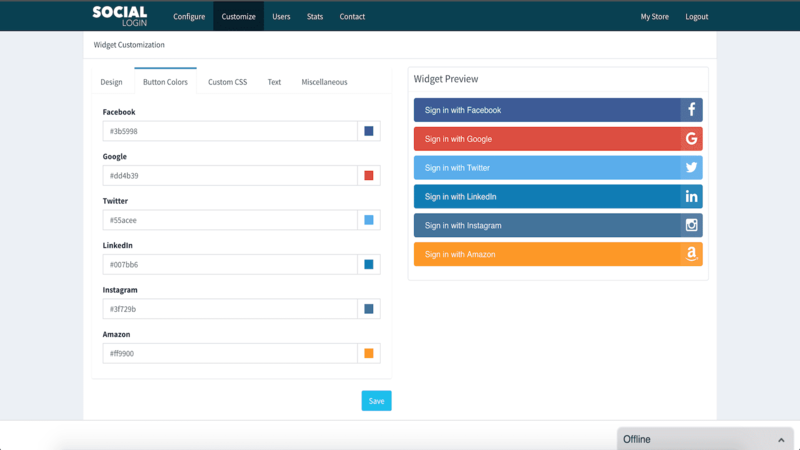 Instead of letting your customers go through the tedious task of signing up for a customer profile on your site, you can use the Social Login app to allow them to sign in with one of their social profiles. 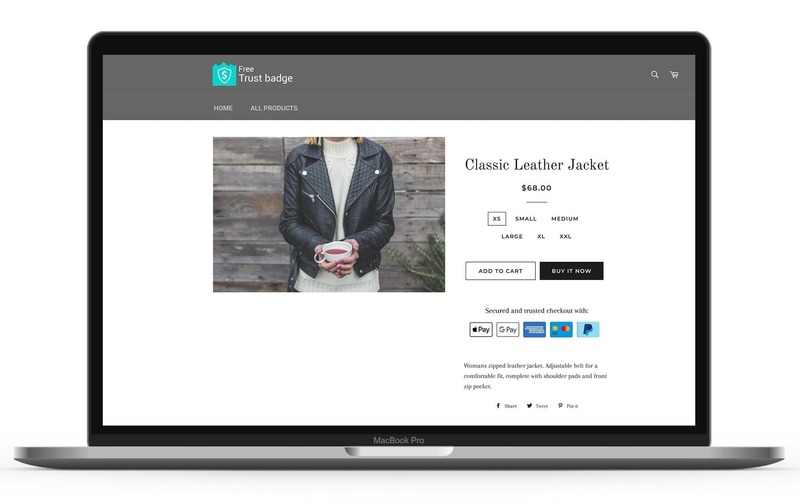 This Shopify app links with the buyer's social media logins like Facebook, LinkedIn and even Amazon so they can quickly login and make their purchases. Pinterest is a great sales channel because they have a great feature called “Buyable Pins. Each pin promotes your store's products for sale directly on the Pinterest site so that they don't have to go through the hassle of being redirected to your store. Available in iOS and Android stores. SocialShopWave app brings all your social apps together for a more optimized sales and marketing strategy for your Shopify store. Along with added features like a wishlist, loyalty points and social media sales. SEO is one of the best ways to get your store noticed in a sea of competitors. If you haven't heard about SEO then now is the time to know. It’s called Search Engine Optimization (SEO). When people look for something where’s the first place they go? When you optimize your Shopify store for SEO, it increases the likelihood of your products being seen when people search for those products online.
) to help you out. 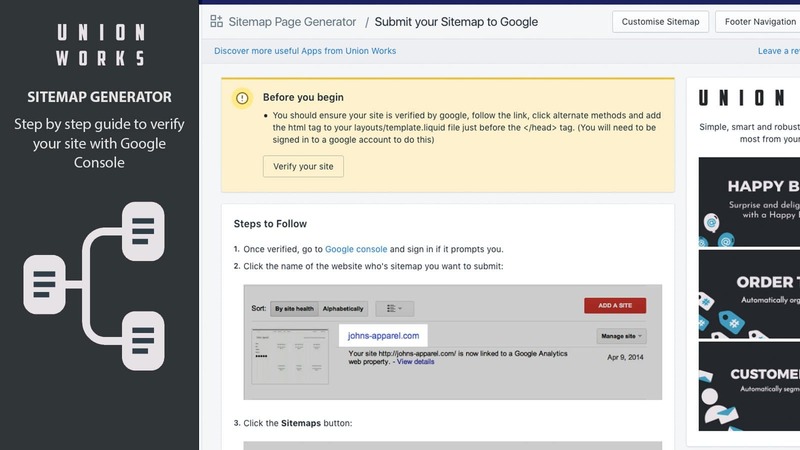 Luckily, there are a number of Shopify apps that can help you optimize your store for SEO. We combed through all of them and brought you the top 14. Optimizing your images for SEO is a good way to start. This app can help your Shopify store gain sales. With over 110,000 Shopify stores using this app plus its 4.8 rating by Shopify users, this simple app is proven as one of the best ways to get SEO traffic right to your store. 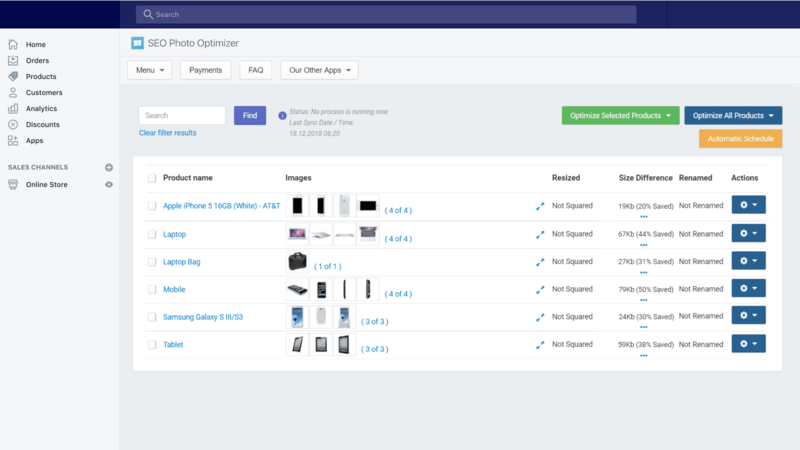 It only takes 30 minutes to gets started optimizing your store's product images. Plug in SEO is a favourite of mine and 1000 other Shopify owners out there. 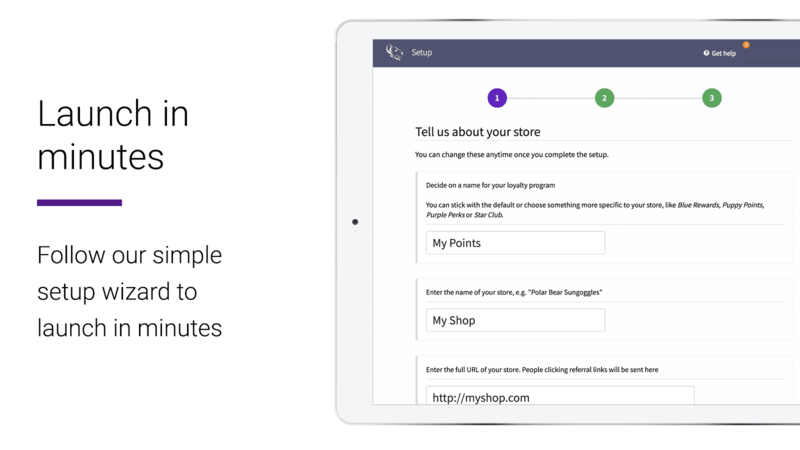 Most Shopify owners see a dead halt in their traffic, but this app tells you why. Letting you know if your stores SEO performance needs to be improved and how to improve it. Plus in SEO provides SEO guidelines so your Shopify store and products can be found and ranked higher in Google searches. They say a picture is worth a thousand words, but the pictures alt text is also worth a thousand searches. Apart from Google search, the next thing people look for is Google images. That's why optimizing your images for SEO is like cover the basics for your Shopify SEO needs. 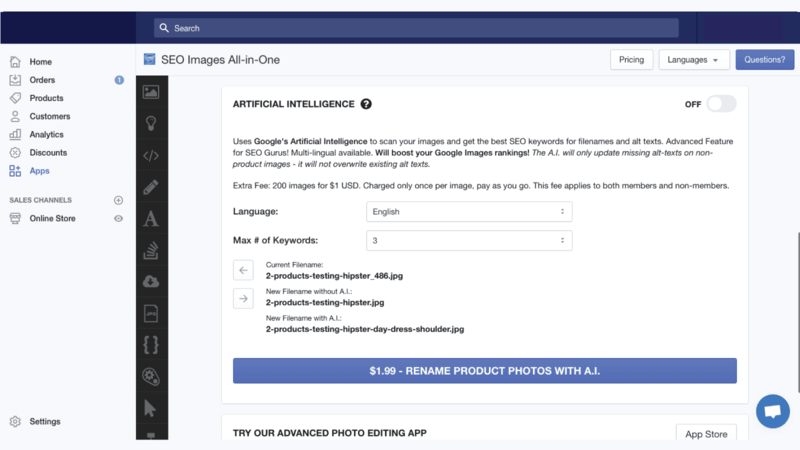 This app automatically generates the ALT text for your Shopify store's images based on a set of parameters, so you get more traffic from the search engine. 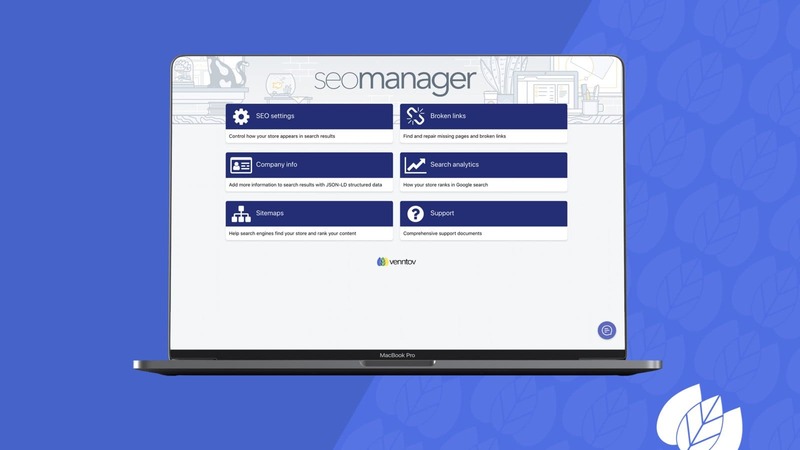 SEO Manager is a great app for integrating Google search console connection and analytics if you're a serious SEO expert for your Shopify Store. 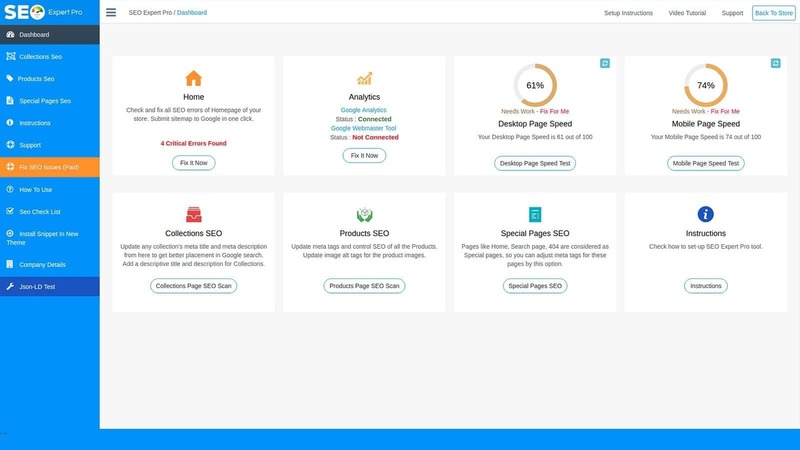 It also includes an SEO scan so you can easily find your 404 errors, meta content tools and keyword suggestions that you can use on your product pages. This app stands by its name as an all-rounded SEO tool for experts or anyone serious about ranking on google. Beginners can use it too, just takes a bit of a learning curve. 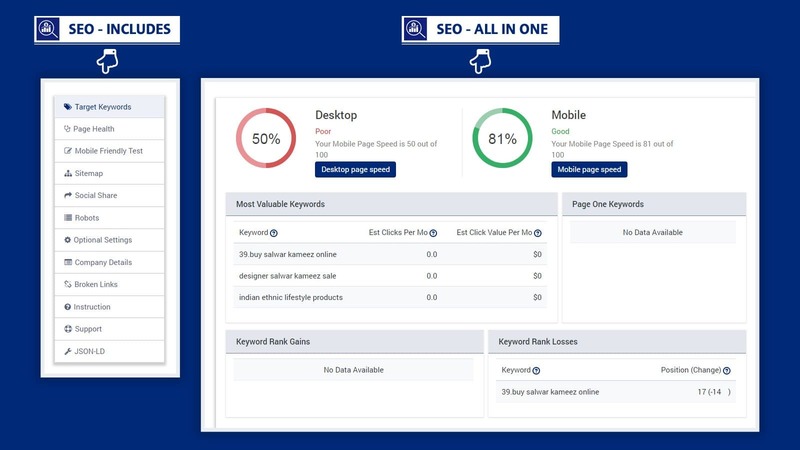 SEO Expert Pro sends you personalized SEO reports, the option to edit alt tags in images with one click as well as a competitor analysis to stay ahead of other Shopify stores or brands you'd like to outrank. Need some real SEO management for your Shopify store? Get this app. With no code required to set up this app helps to improve your SEO rank and also includes mobile friendly SEO for your Shopify store. This app also helps Google create SEO rich snippets for ranking. You can also Integrate Shopify Product Reviews, Judge.me, YOTPO, Loox, & Stamped.io with this app for better SEO options across the board. The SEO Doctor is a bit different than most SEO Shopify apps because it allows deciding to do the SEO on your own or hire an SEO guru to do it for you. 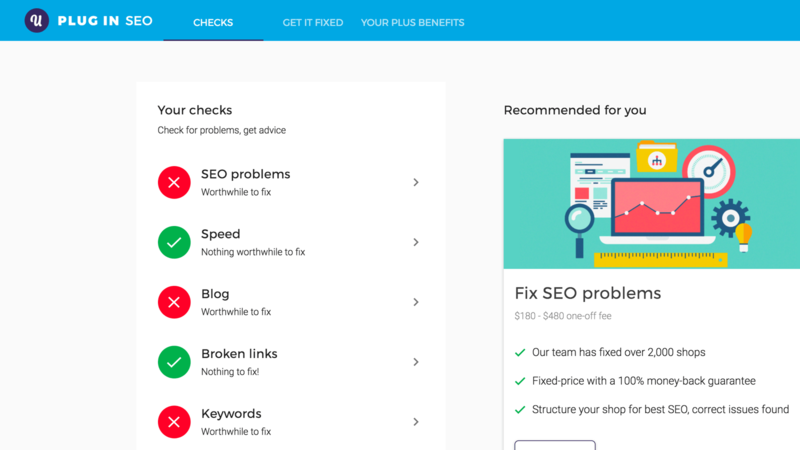 Unlike most apps that have a DIY mentality, SEO Doctor offers the option to automate your SEO needs with just a few simple clicks. Offer: Free plan but limited features. Price: Starting at $ 14.99/monthly. This app has been in the Shopify app store for a while and is a great SEO tool if your looking for something that's free. Apart from basic SEO features it also has a bulk editing meta tag option so you can get more done in short space of time. The app is free however I'd recommend that you get a bit familiar with SEO before downloading it, so you know what you're doing. Not sure what an HTML Sitemap is? It's a list of all the links available from your Shopify store. It allows you to get a quick overview of storage and give customers quick click-through of the different pages your Shopify store has. The SEO HTML Sitemap app produces an HTML sitemap page that updates every hour as you add new products, collections or content. It also looks out to ensure that your site is 404 error-free as customers click on your HTML sitemap links. Much of it is a do-it-yourself SEO app so you'd have to know a bit about SEO to use this app. No need to enter meta tags or alt tags manually for every entity in your store. The Smart SEO app generates them for you. 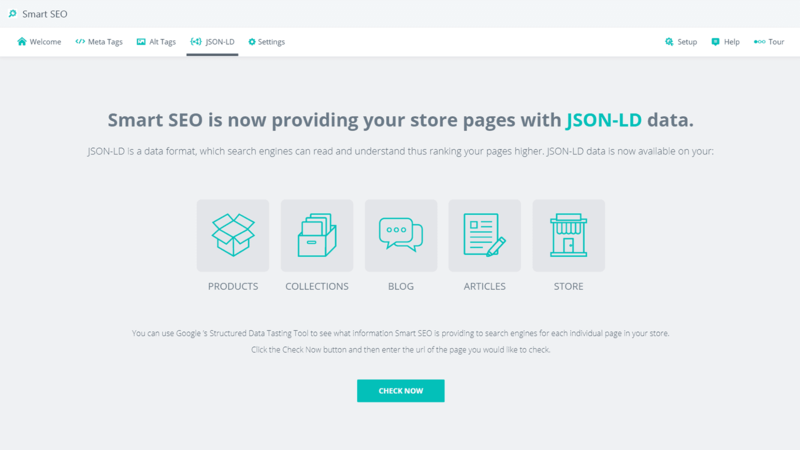 It also integrates with Google Google in JSON-LD format so you can rank your store higher in search results. This is an expert level SEO app but if your a new to SEO, it's always good to get some understanding of SEO to make sure the app is fulfilling your SEO needs. This app provides Expert SEO for all your image needs. Providing you features that enable JSON-LD enabled, SEO Audit and reporting. You can also track Broken Link / 404 Tracking & fix them along with added SEO features. If you do plan to use this app, just know that it can be slow at times. 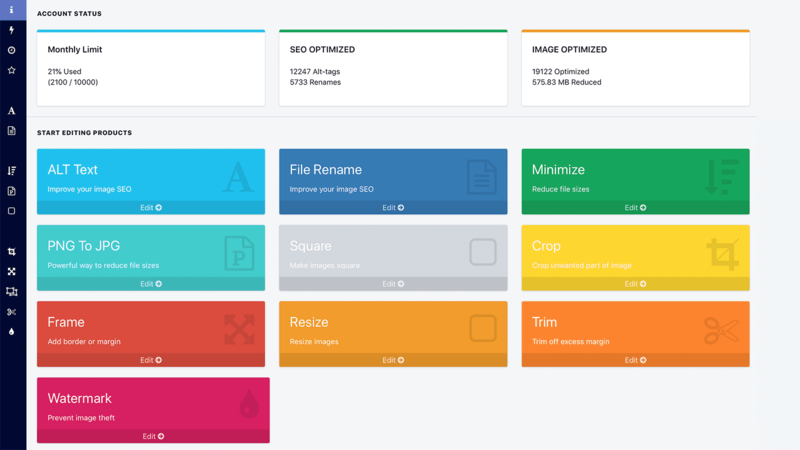 Unlike the other SEO Image app listed this Shopify app allows you to compress, resize and back up images along with adding meta and alt text. 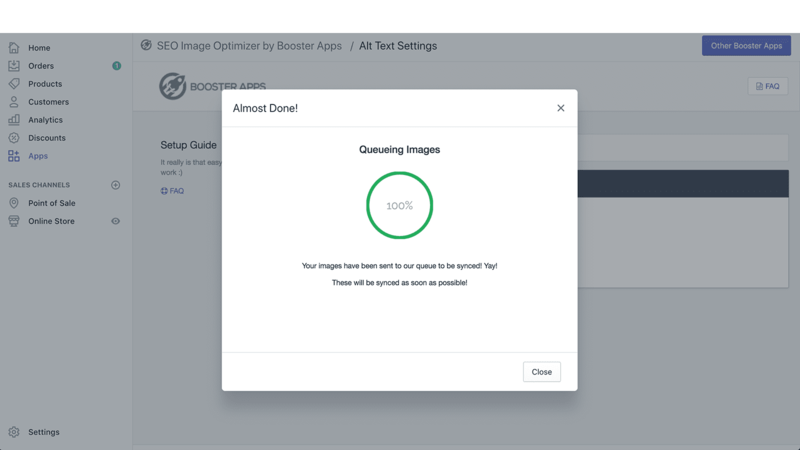 This app has proven to improve your Shopify page load speed and photo management. This SEO Shopify app is for bloggers or those who want to increase readership on their blog site. As the name states, this app suggests related blog post based on the articles you have on your Shopify blog. Any one whose a content writer or blogger can tell you that linking blogs in your own can help to increase your SEO and help engage your readers. You also have full customization options to showcase your blogs ideal number of suggested posts. Compress and resize images in bulk along with adding alt tags to your Shopify images. This app supports JPEG, PNG and GIF image formats unlike other SEO Image apps. Nothing makes shopping sweeter than shipping deals. A good shipping deal or free shipping can encourage customers to add even more to their cart. Giving your customers free shipping can also lift your Shopify sales by up to 20%. Returns are also just as important as shipping. No one likes returns but no one likes dealing with long drawn out returns either. Great shipping and returns system can keep customers coming back for more. Take look at the best Shopify apps for shipping and returns to see which one you’d like to use to make your customers happy. Easyship helps to give your Shopify customers flexible shipping services and options. Unlike other shipping services, Easyship offers Shopify owners competitive rates for local and international shipping compared to other couriers, so you know the best rates to charge your customers. It provides your customers with the cheapest and fastest courier for their country, so they get the best shipping options. You'll get access to special USPS discounts so you can save on shipping. Access other international countries like FedEx, DHL, SF Express and 250 more other courier Services. It allows you to sync orders and print labels in one click, while automatically update them as they are fulfilled with tracking numbers and courier names. Create customs documentation and professional paperwork so that you can reduce customs issues and delays. If you don't want to do the shipping yourself, they offer an affordable fulfillment service. Have a lot of Shopify orders to fulfill? ShippingEasy can help with that. It provides an online shipping management tools that help you to get your Shopify orders in and out smoothly. If you have a small Shopify store you can use this app but based on all the advanced features it's mainly used by Shopify stores that have a high volume of orders. ShippingEasy offers you discounted prices on UPS/FedEx. 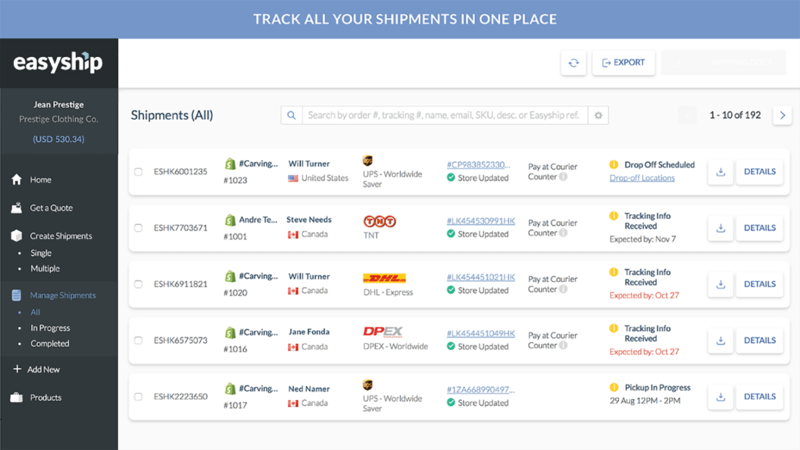 Allow you to create shipping triggers that send automated emails so your customers can track their packages in real time plus customizable shipping lables and invoices for your customers and the shipping company. .
Maybe you have a brick and mortar and Shopify and want to give your customers the option to pick up their orders or maybe do local deliveries in your area. The name says it all " Store Pickup + Delivery". This app is excellent for any Shopify owner no matter what size your business is. Get features like a shipping calendar so that you know when the drop orders, create future order restrictions, so you don't get overwhelmed with deliveries. Track your orders and more. Used by top brands like Wish, TicTail and Sound Benner for trusted Shipment tracking. Give your customers a professional and branded tracking page after sales. AfterShip connects with a known courier internationally and locally so you can give your customers live delivery updates via email or SMS and a rescheduling alert, so your customers are always on track. No one likes to do returns. The constant emails, the back and forth communication, and managing the logistics of shipping a return can be super frustrating for everyone involved. That’s why AfterShip Returns Center handles returns for you. Wait...what does managing returns have to do with increasing sales? Simple: great customer service increases sales. Have you ever gotten such excellent service that you came back just because of that? That’s right, you did! So will your customers. Having a return system for your customers can put them at ease when ordering from your Shopify store again. Customers can view returns policy and submit returns request in three simple steps without email exchanges. They’ll get notification along to keep updated from start to finish. AfterShip has many helpful features like a Return Label Generator for your customers or using their return center for shipment. All plans are based on the number of returns you’re store will have, plus custom plan for even larger stores. Shippo helps you make shipping labels and offers you shipping rates to help improve your customer experience. Get discounted rates with USPS and DHL Express. Plus, and compare prices with up to 50+ carriers at once, so you know the best rates to give your customers. Get pre-filled labels in bulk for faster printing so you can get them delivered as soon as possible. Parcelify helps Shopify owners manage their shipping rates, weight, locations, custom rates and rules you can use for managing Shopify logistics. Parcelify allows you to shipping rules with our rate builder. You can also restrict the sale of products to specific locations or cart prices. Postmen is one of the best shipping software and API solutions for Shopify stores with flexible and scalable features to increase sales. You can automate your shipping process locally and internationally no matter courier you ship with. You can also print labels certified by couriers in various sizes. With Postmen you can give your customers the option to calculate shipping rates and know their delivery dates in real-time. If you're not sure where to start, they have great support that can walk you through. 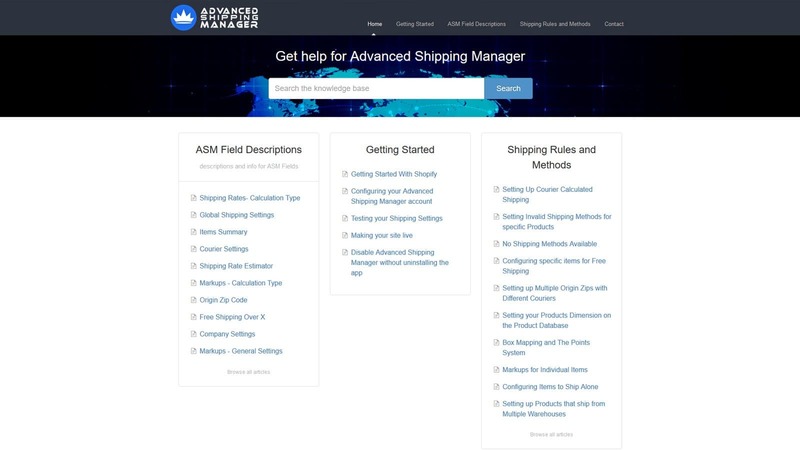 Efficiently manage your shipping rules and charges with Advanced Shipping Manager. 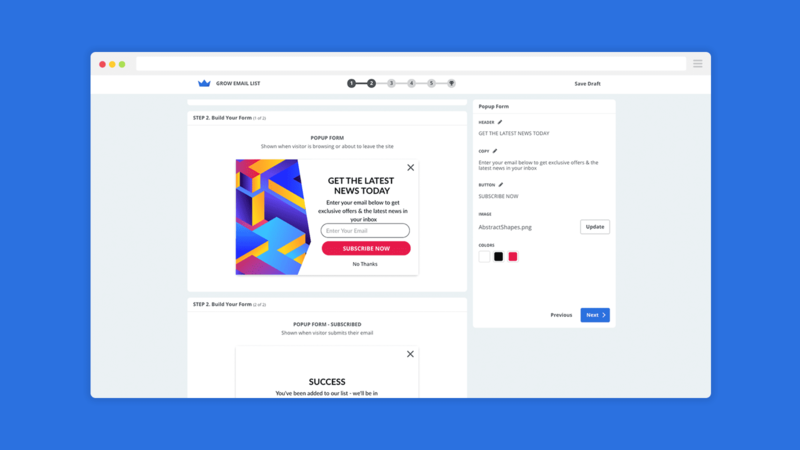 Set shipping methods, tables and dropshipping markups all in one place so your customers can know which option suits them best. Control your minimum and maximum shipping rate settings for each order as well as flat ship rates with quantity discount option. Shipping software made for e-commerce, Veeqo allows Shopify owners to can sync your inventory and orders from each sale. 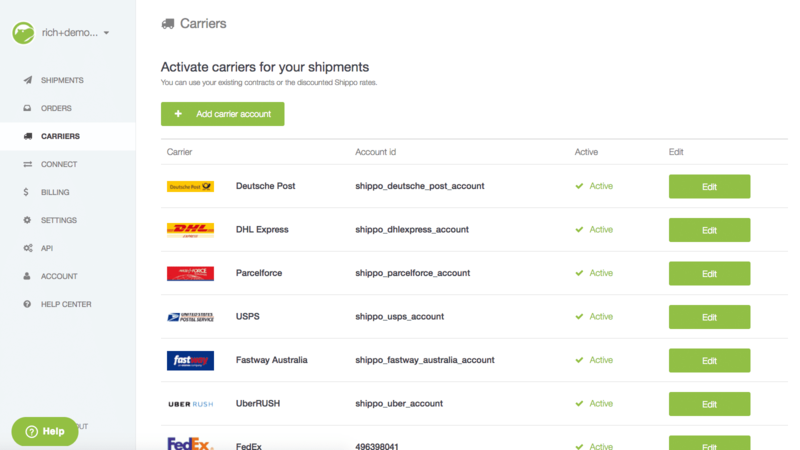 You'll have access to a sellers dashboard to manage all your shipping from the back end and access shipping labels from over 17 world-leading shipping carriers. You can also print labels in bulk in just one click. Veeqo also gives you the option to track your orders so you can update customers in real time. If you have other e-commerce stores outside of Shopify, like Amazon, WooCommerce, Etsy and more, feel free to add and manage them under your Veeqo account. Here is another free Trust badge app that allows you to showcase your payment badges in black and white, colour, circles or text, so customers know that which payment methods they can use. Because you can never have too much trust. Earlier we spoke about how important it was for customers to trust you. With TRUST you can get free trust seals for your Shopify store. Get trust seals like Money Back Guarantee Seal to credit card seals like VISA, MasterCard, etc. So customers can know beforehand what services you have to offer. Have another e-commerce store along with your Shopify site? Upload your eBay, Amazon or Etsy store reviews with this app and showcase them right on your Shopify store. Just like TRUST, Trust Hero provides trust payment badges such as VISA or MasterCard so your buyers can trust your payment methods. Unlike other trust badge apps this one is free. This app also works great with the mobile and desktop version of your Shopify so customers see your payment badges regardless of the device. It’s not enough to put your products out there and market, you’re going to need a bit of extra help upselling your products to increase your Shopify sales. It’s the art of nudging the customers to buy something additional. Ever walk into a store to buy an one item but by the time the sales rep is done with you you’ve got a shopping bag filled with five to ten items instead. That’s the magic of upselling. So give your Shopify store some of that magic with the 12 best Shopify apps for upselling. Everything is personalized for us. From Netflix, our Instagram feeds and even our YouTube recommended video selections. So why not personalize your Shopify store? This app creates personalized product suggestions for your customers based on what they're likely to engage with. It learns the shopping behaviours of your customers and then suggests products they would be most likely to buy. If you just started your Shopify store, you can test this app out with a free 7-day trial. You also have the option to freely customize products you want to recommend as well to upsell prior to purchasing. Show off your sales to potential buyers with the Boost Sales. It creates a branded pop-up that shows recent orders and lives sales placed right on your Shopify. This app shows customers the fear of missing out which can help you to increase sales to returning and new customers. Recover and increase sales by sending push notifications to customers who leave your Shopify store. 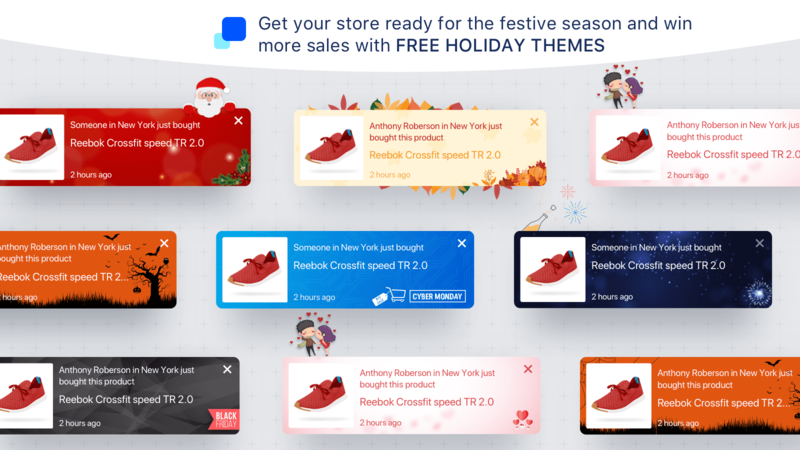 Used mainly with Shopify Plus, this app you can send sequenced push notifications to receive abandoned carts, marketing campaigns and low stock alert. Each Shopify owner gets a dedicated plan manager to help create tailored push notifications that can help you meet your goals and increase sales. You can also connect PushOwl to Google Analytics to track clicks and conversions without any additional setup. You also have the option to automate your notifications so you can focus on other tasks for your business. 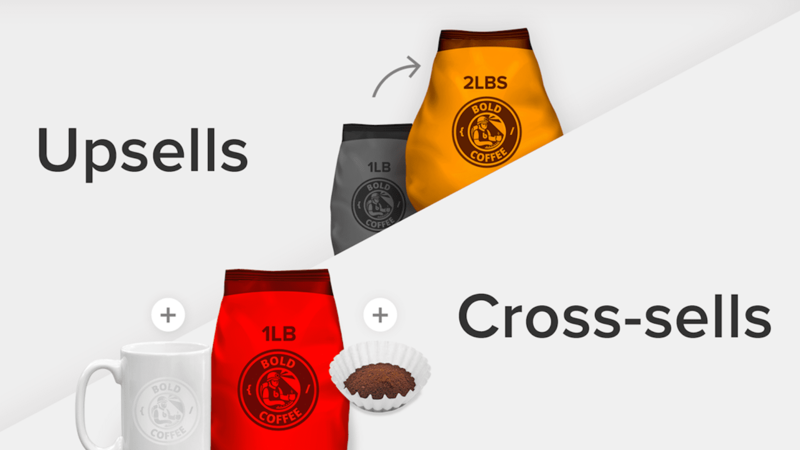 Cross-Sell helps you to sell your products on both your product and checkout page along with a "popup" appears after shopper add an item to their cart. This gives you the chance to make a sale where you can on your Shopify store. Cross-Sell also creates a smart cart features that recommend products to your sellers based on their product search and click history. It also prevents products that are already in their cart from being displayed in Cross-Sell. You can also customize your Cross-Sell button text and colour so it matches your brand. One of the best ways to make sales is to announce promotions to people actively visiting your Shopify store. Site Kit doesn't just give you an announcement bar to show-off your sales to visitors, but displays a smart bar that helps to announce sales so you can deliver messages to visitors without disrupting their shopping experience. 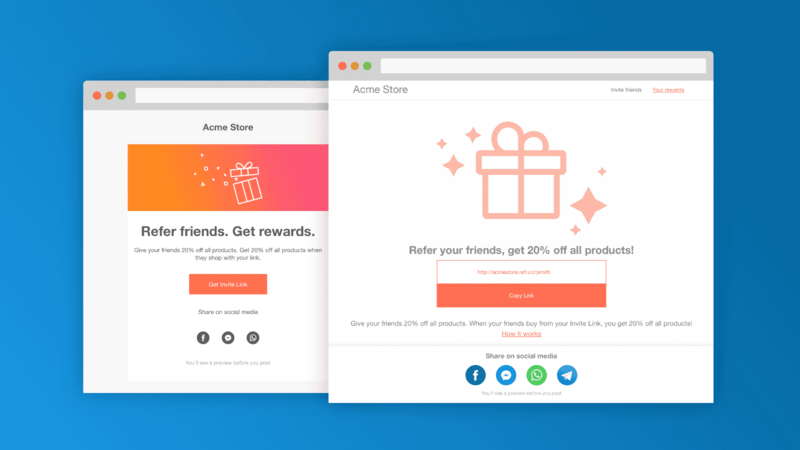 Create customizable pop-ups to get emails and reward your customers with discounts and offers. 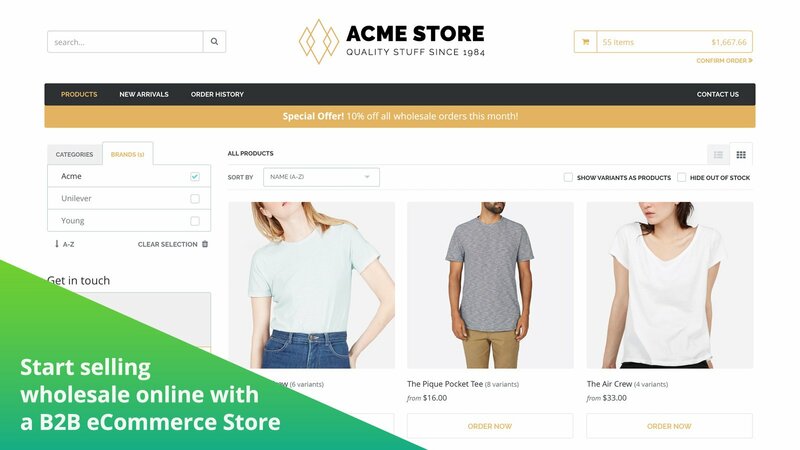 You also have the option to put multi forms on your Shopify store like coming pages soon, customer surveys or polls on your Shopify products, service and more. Need to sweeten the deal with bundles for your customers. Bundle Upsell allows you to give discounts for product offers like two for one or discounts for products bought in bulk. With a 4.5 rating in the Shopify app, you can expect great customer service and seamless integration with your Shopify store. Did you know that 93% of consumers are more likely to shop at an online store that promises free shipping even if they don’t qualify for free shipping? 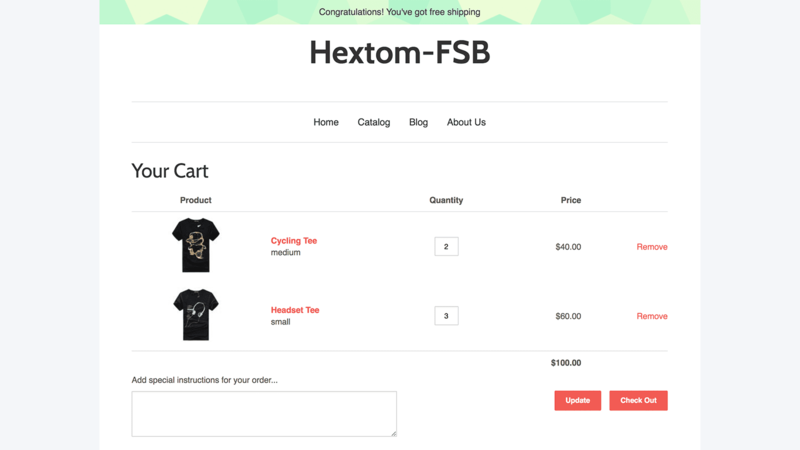 Hextom’s Free Shipping Bar allows you to display a “Free Shipping" offer on your Shopify store and at the check out. Giving you various free shipping offers based on country, pages, device, period, or holiday. So you’re busy running your Shopify store and trying to handle the orders coming in or handling customer emails. With so much on your plate, when do you have time to upsell? That's why I would recommend the Bold Upsell Shopify App. Bold Upsell can make sales for you while you tackle your Shopify to-do list. 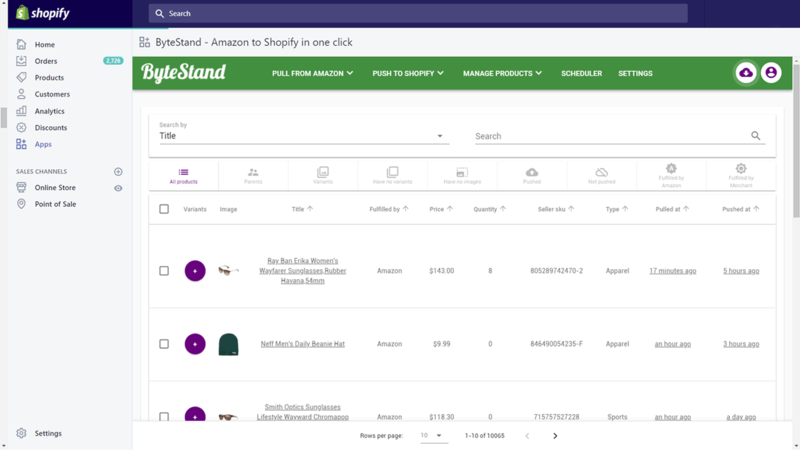 Bold Upsell allows you to upsell to customers on the product page, the cart page, and even on the check out page. Bold gives you a chance to make a sale at every opportunity. Just ensure that the upsell is based on the shoppers needs rather than randomly products that way you get a few sales in before they even reach check out. This app lets you display a buy button on all your Shopify site pages including product pages, home page, product reviews and even the checkout page. You're also not limited to just a buy button. You can also an add to cart button so your customers always have the chance to add products and make purchases where ever they are on your site. Once they do they're taken straight to the checkout essentially bypassing the cart page. You can customize your sticky button colour, text, animation, place your logo and choose which pages it should "stick" to. It works great across all devices, so customers can use this feature even if they're on their desktop, tablet or mobile phone. You can also track your clicks and sales by connecting your Google Analytics or FB Pixel account. Show off your sales with Sales Pop. Sales Pop works by showing recent sales from customers to new customers currently navigating your website. Seeing this gives new customers a sense of trust and credibility. Sale pop gives you the option to show sales in real time, or to import past orders and show them off in set increments throughout the day. One of the things that makes this app great as well is that it syncs with Consistent Cart (for email marketing and sales) and it's also available in English, French, Spanish and Portuguese so it works with international stores..
Used by over 10 thousand Shopify stores and a beaming 4.8 rating in the Shopify App store, Countdown Cart stands by its mission to boost urgency and social proof to increase sales on your store. You can get three widgets to place on your Shopify store: countdown timer, social proof and stock countdown. 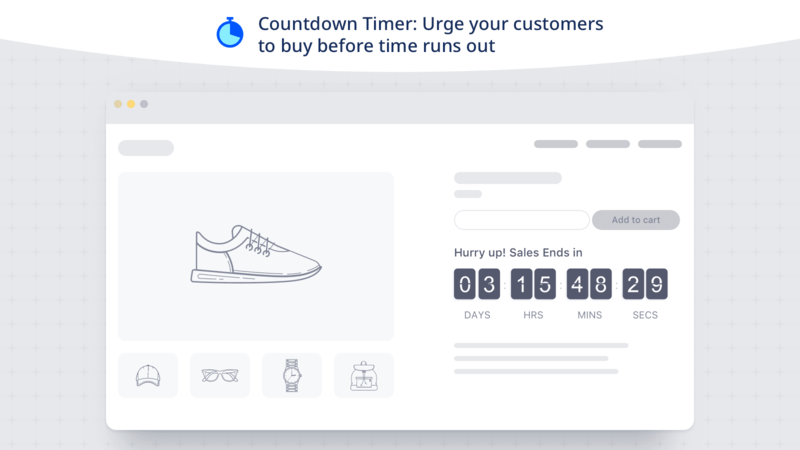 Using a countdown timer customers will see a timer with discounts and will be prompted to buy as soon as possible so they don't lose the deal when the countdown hits zero. 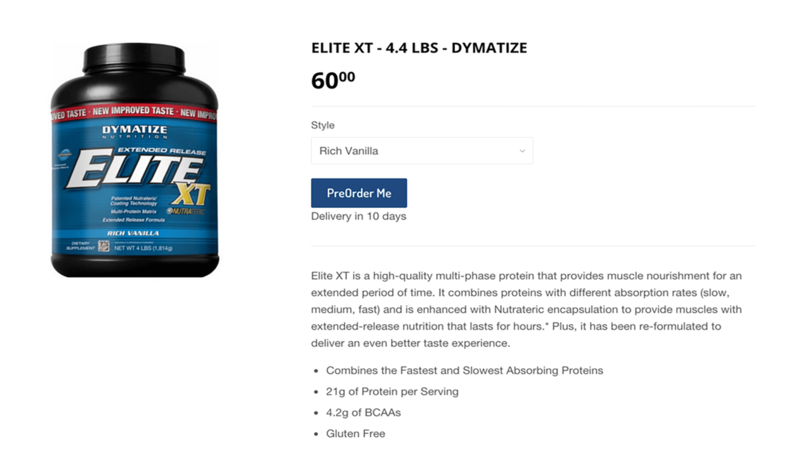 The timer can show on product pages, collection pages or the checkout page. Use the Social proof feature to let visitors know how much customers love, share and like your products. You can let visitors see live streaming in real time, or how many people have viewed or bought your products. Countdown cart puts the "sell" in upselling. Create customizable free shipping and hello bars on your website. Use this app to change your Shopify message bar on your site based on the type of visitor or special discounts offers you may have. For example, if a visitor visits your store for the first time, they can be given 10% discount, and the next time that visitor comes back after making purchases they can be given free shipping for orders over $50. 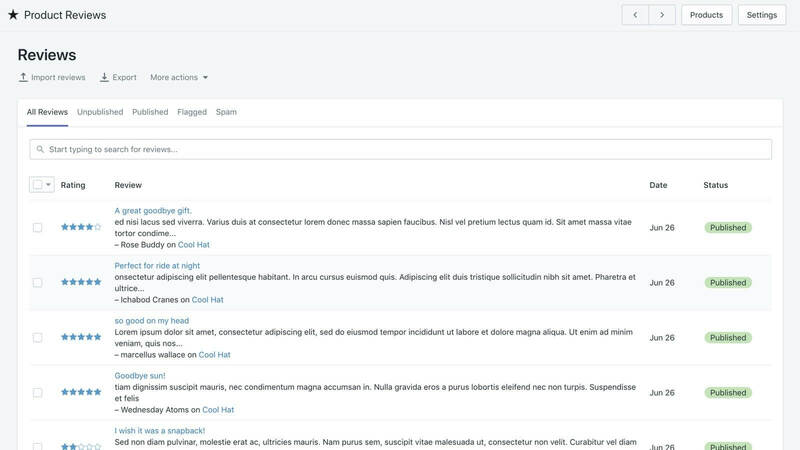 You can display your bar at the top or bottom of your page and add a button, link, or HTML code, or any other message you'd like to display to page visitors. There you have it, 150 best Shopify apps in 18 top Shopify categories you can use for your store. 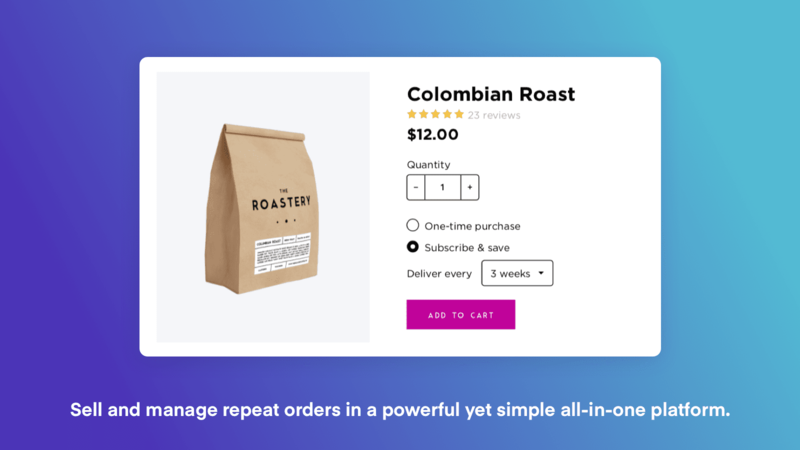 With the right combinations of each, you can optimize your Shopify store as a full-blown selling machine to grow your community of shoppers and profits for 2019. What was your favourite Shopify app? Did I miss an app worth mentioning? Comment it below so we can all take a look!